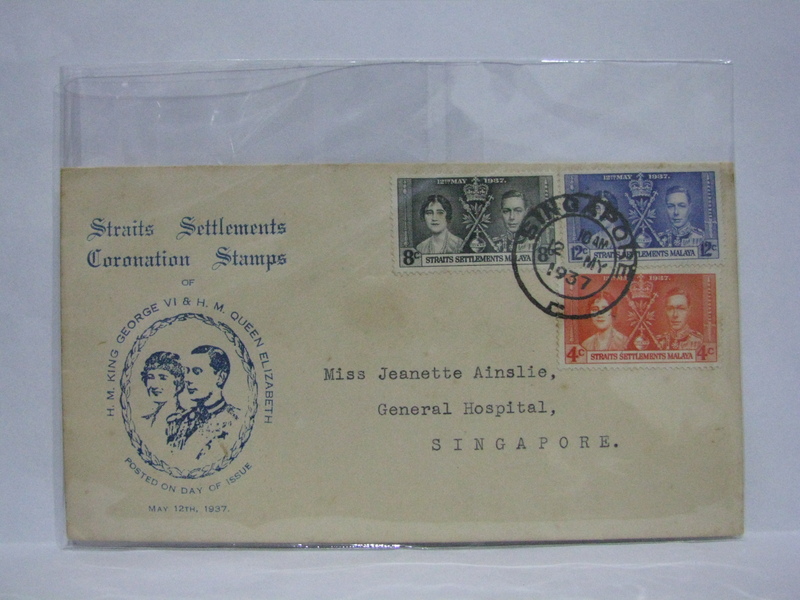 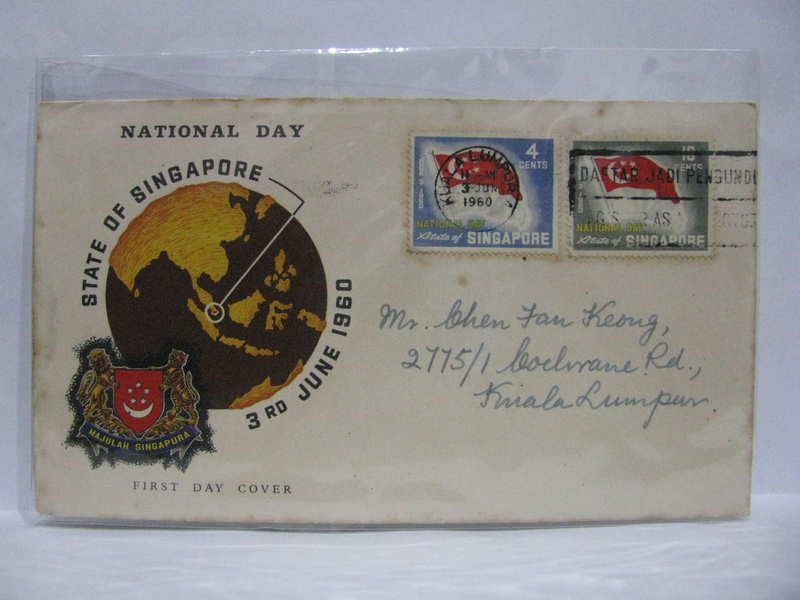 Singapore’s intertwined early philatelic history with Straits Settlements, Malaya and Malaysia makes for an interesting collection. 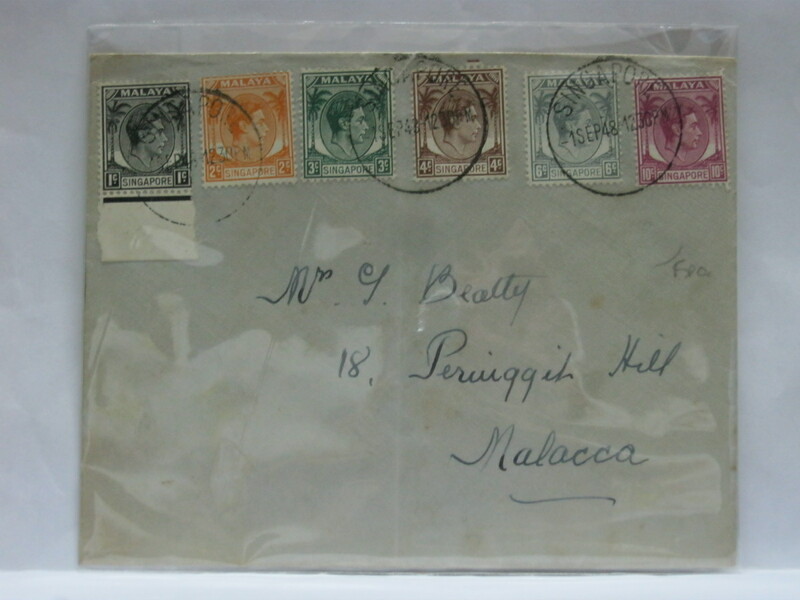 The earliest of course is Straits Settlements. 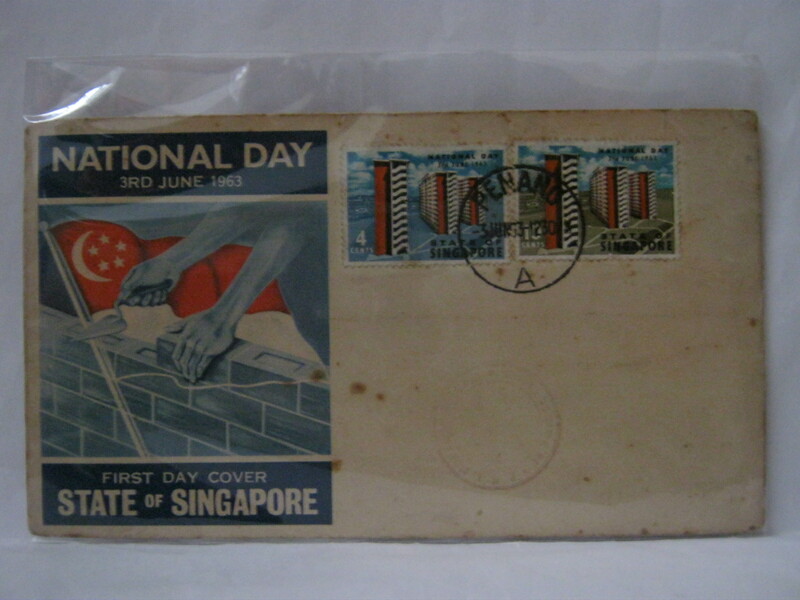 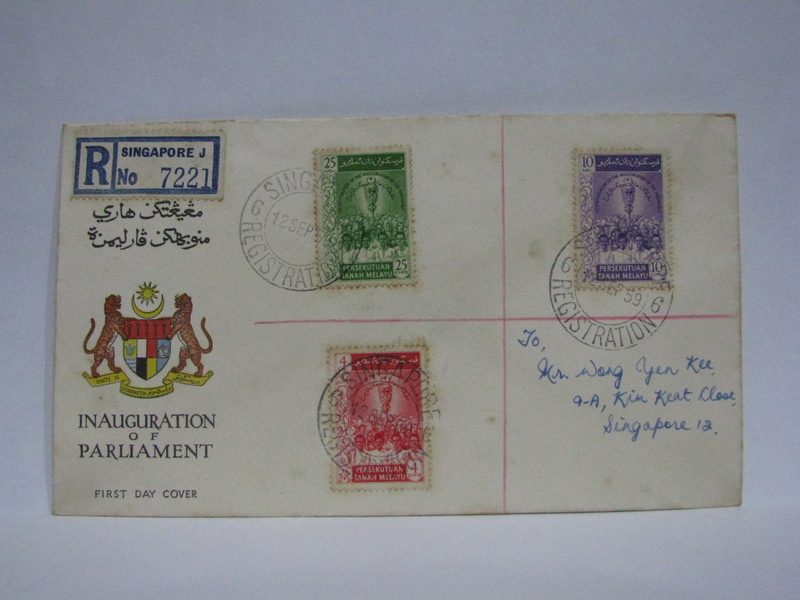 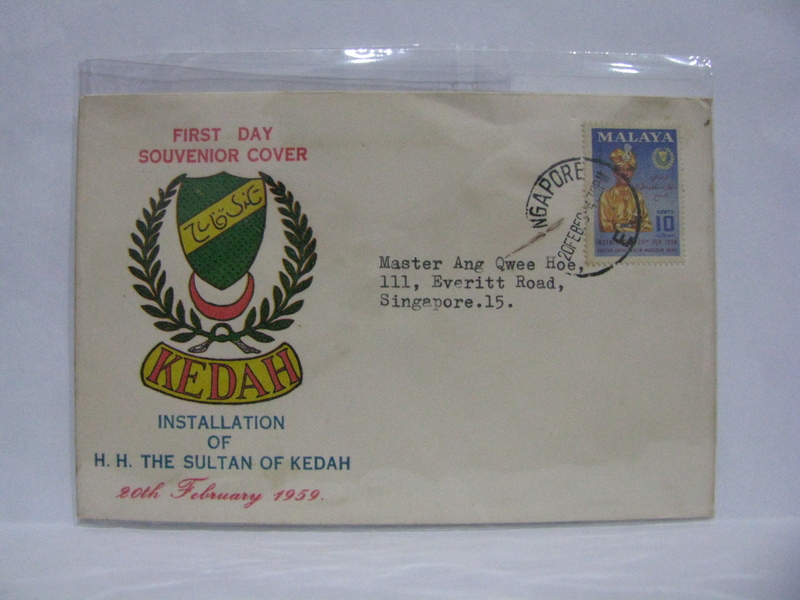 Singapore’s stamps were valid for postage (and vice-versa) in Malaya / Malaysia via the Malayan Postal Union agreement on 01 January 1934. 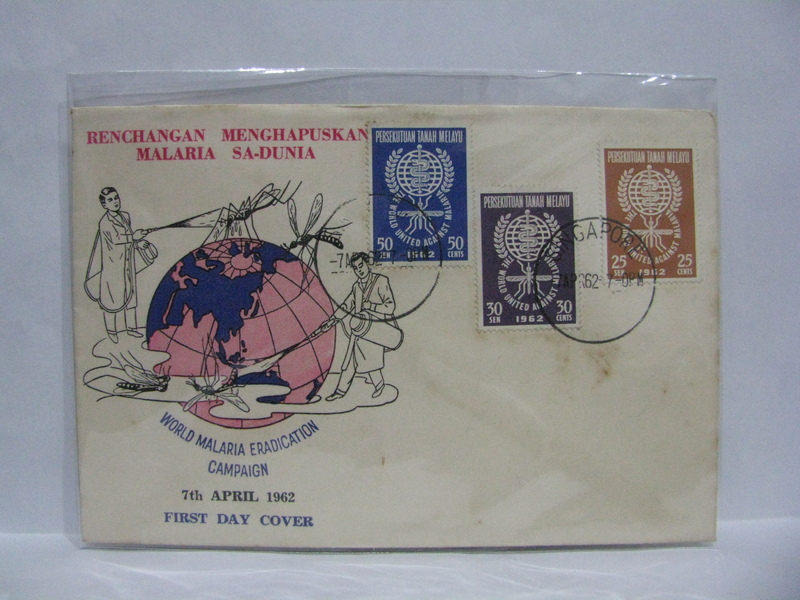 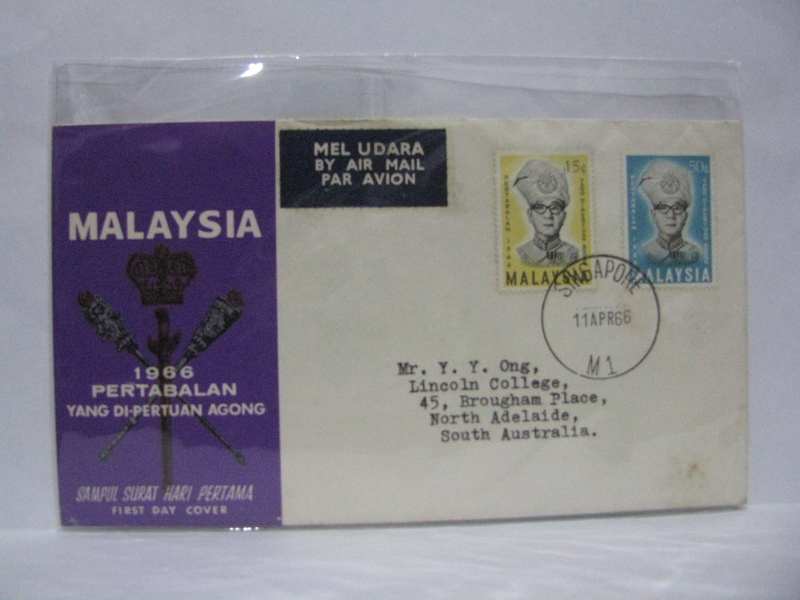 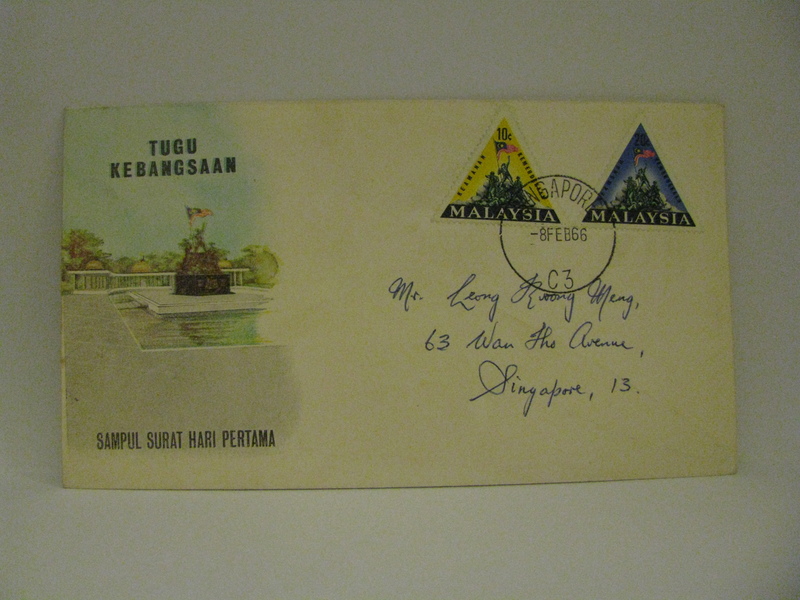 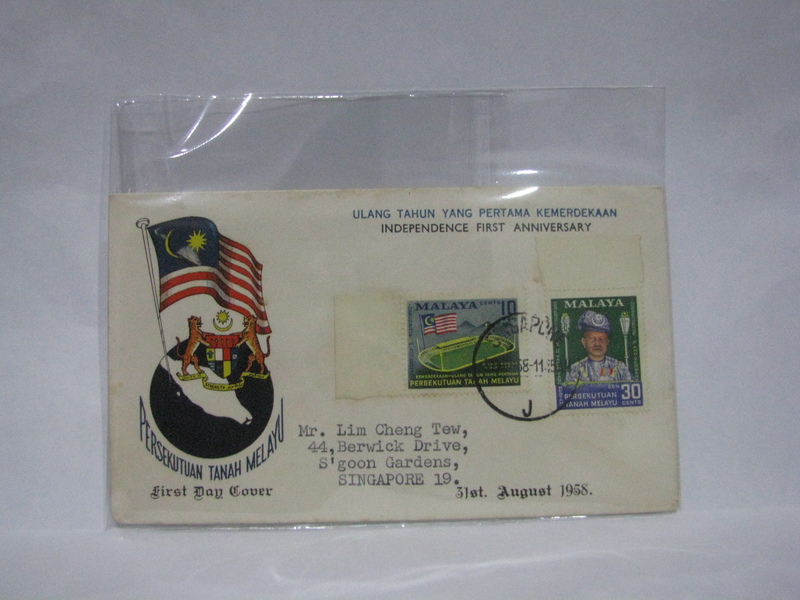 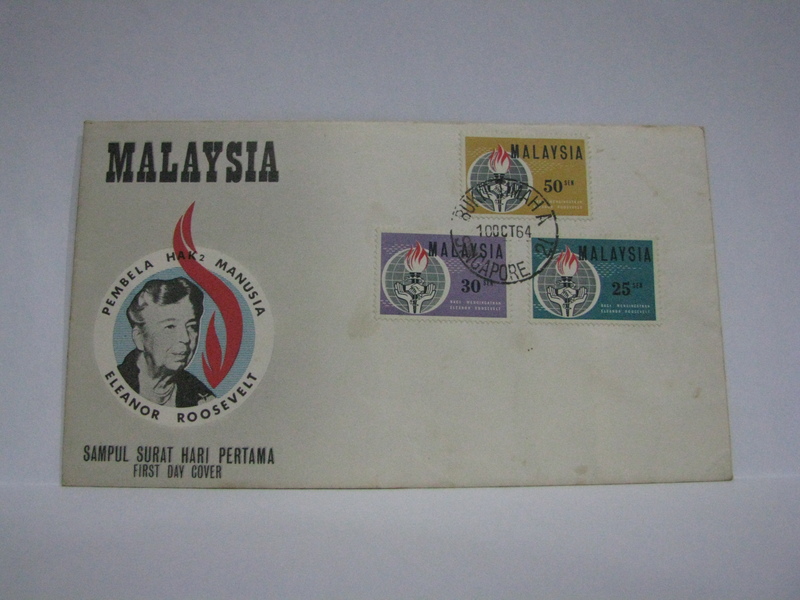 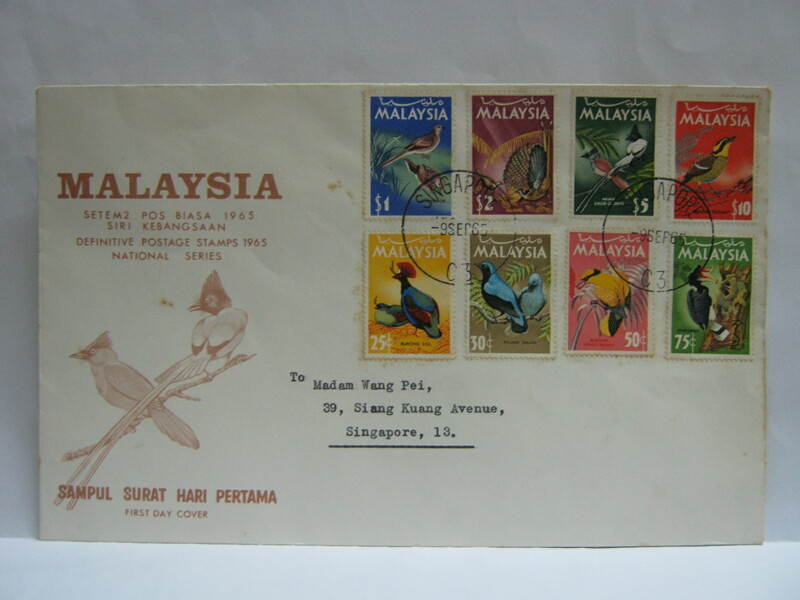 The Pan Malaya Postal Agreement continued this arrangement from 09 August 1949 until 31 January 1967 (correct me if I got the date wrong). 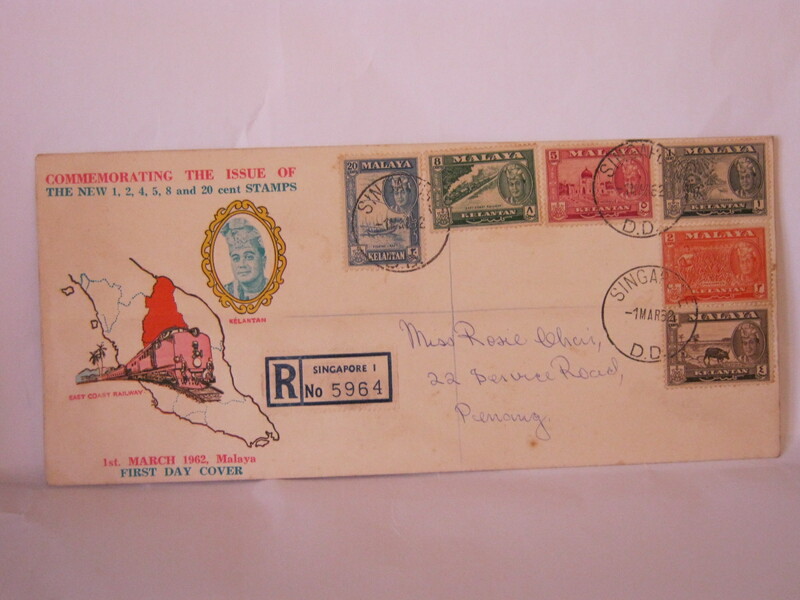 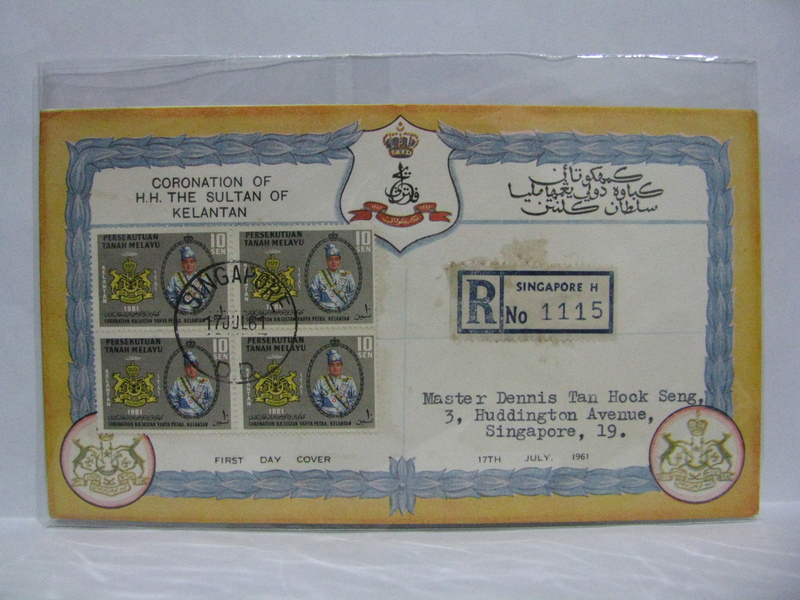 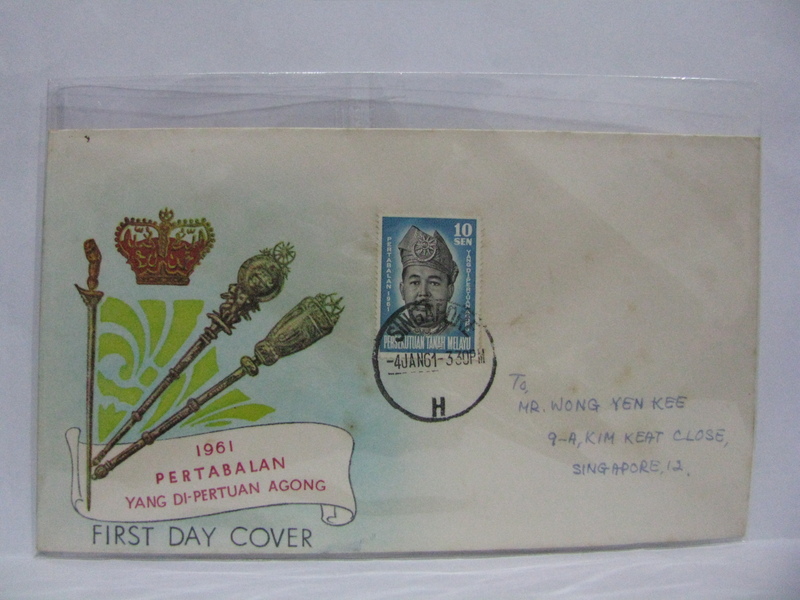 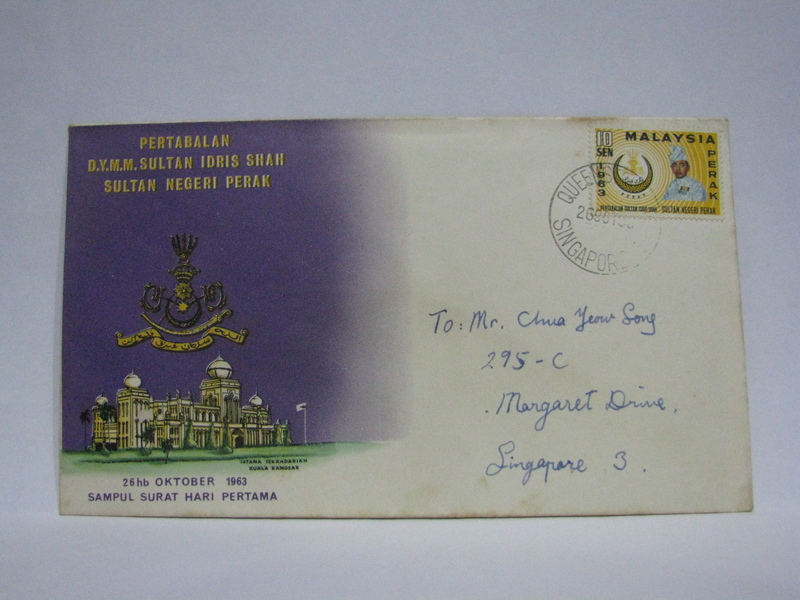 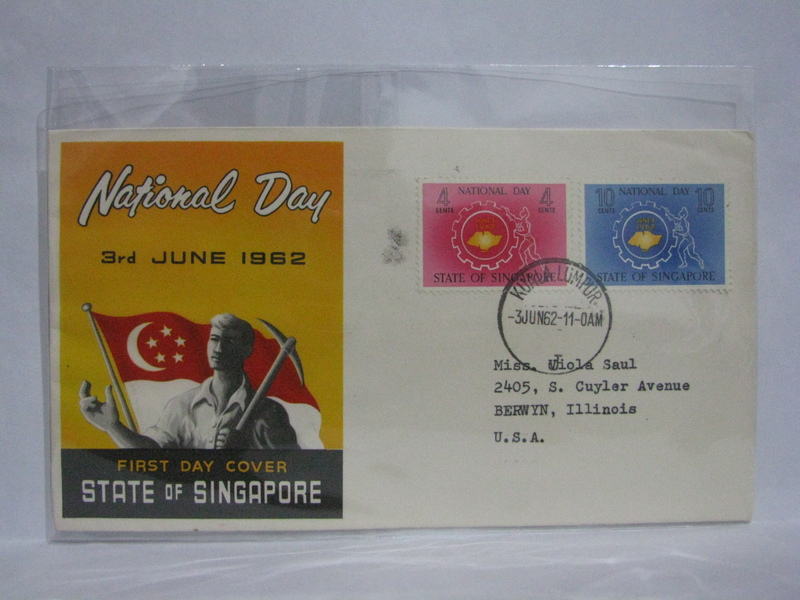 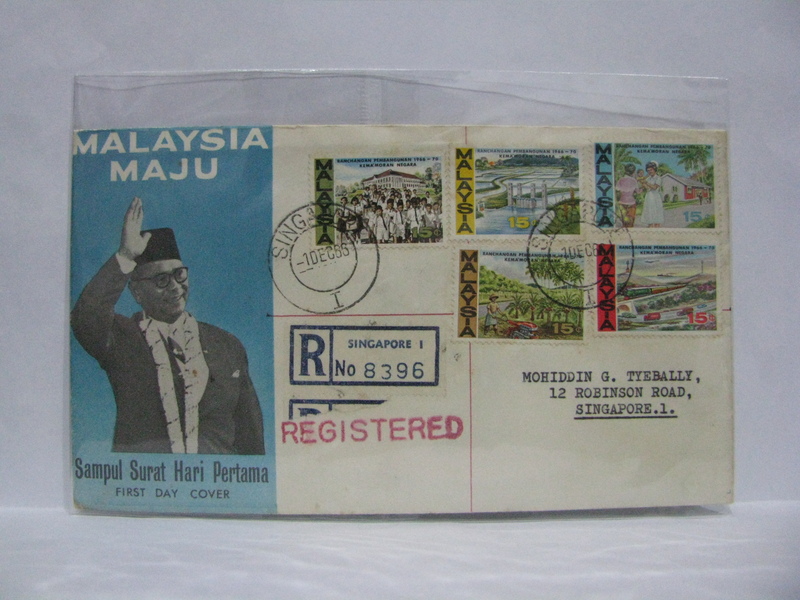 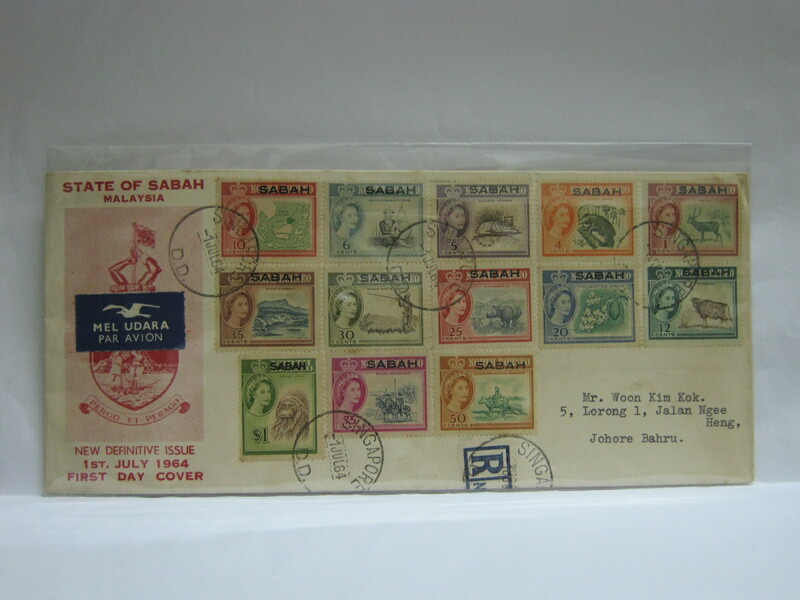 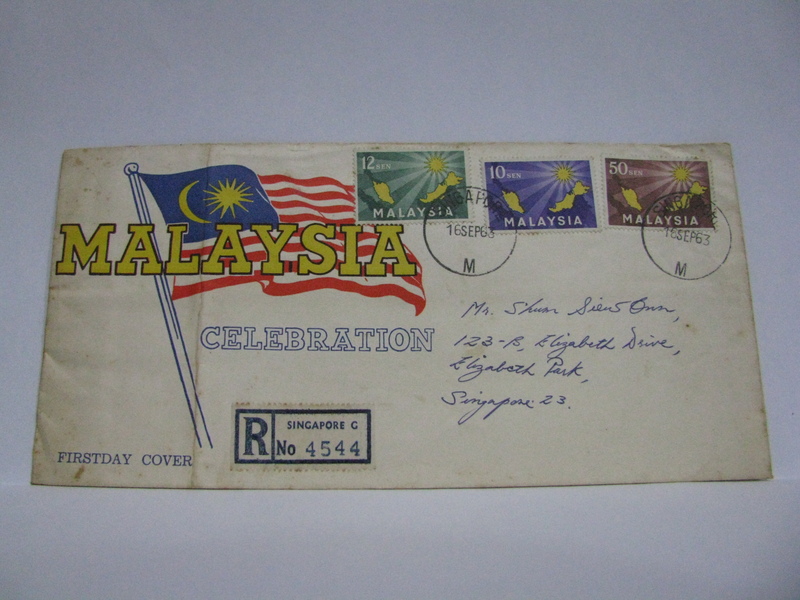 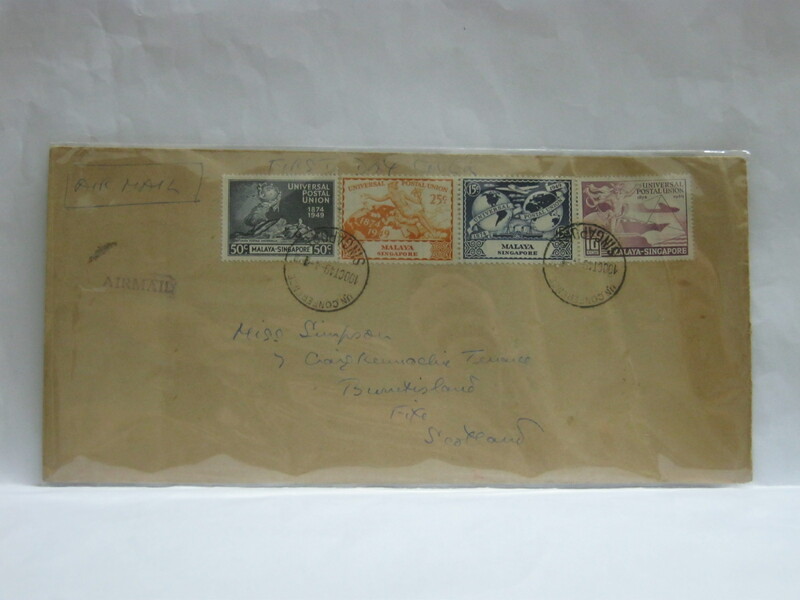 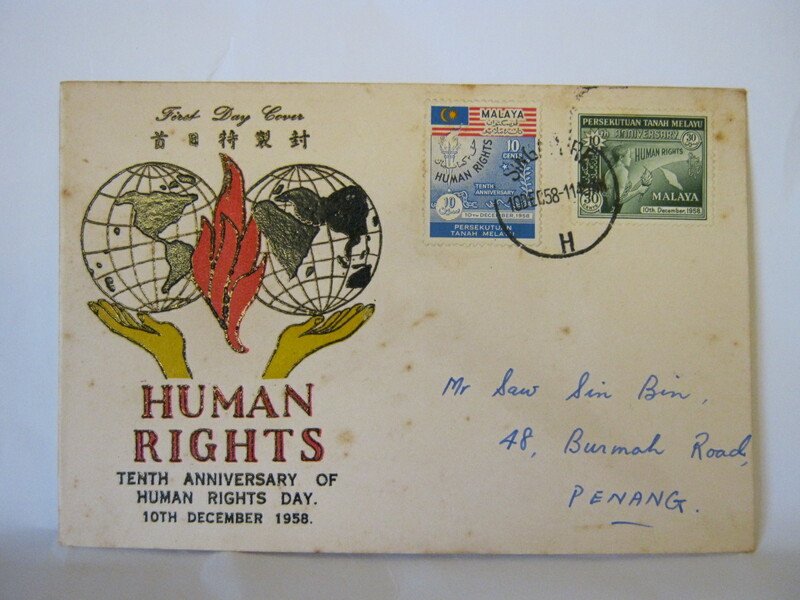 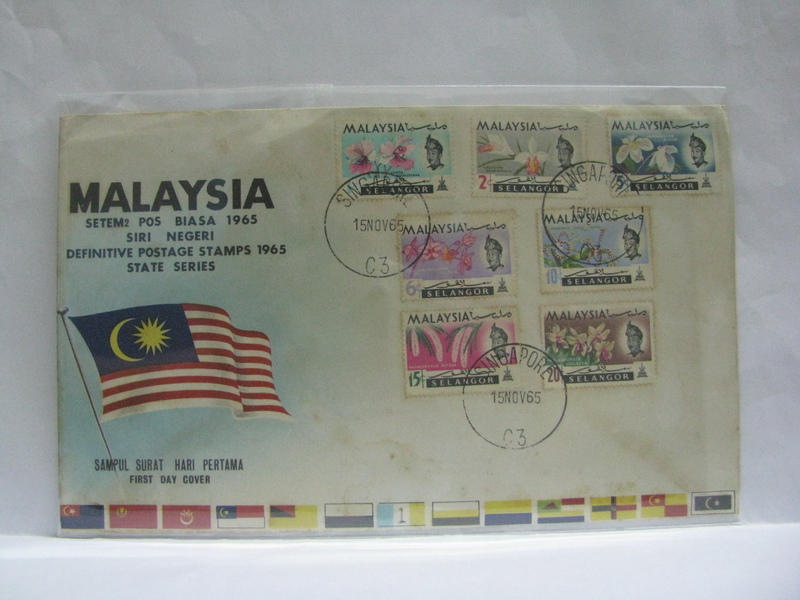 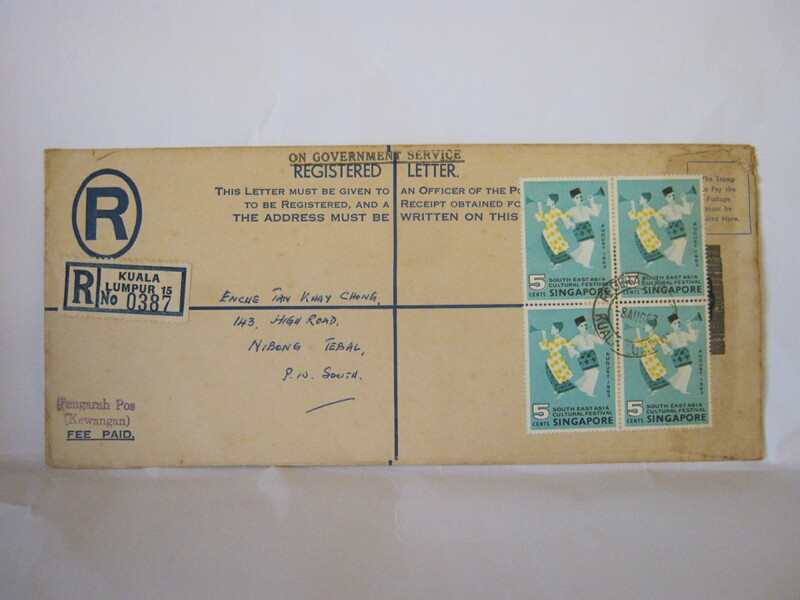 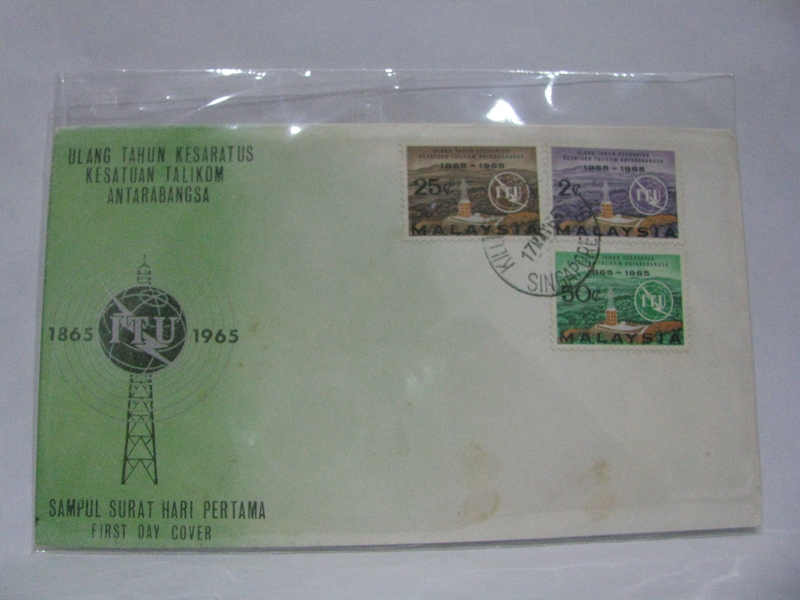 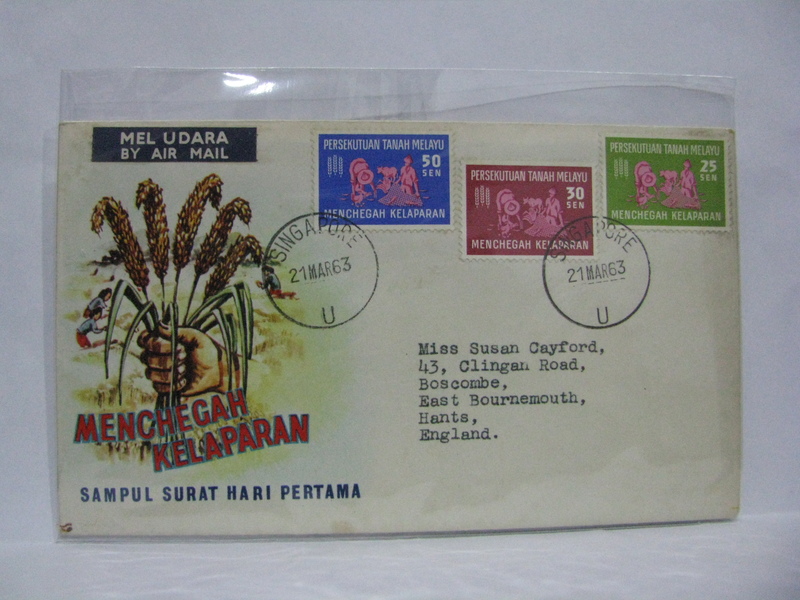 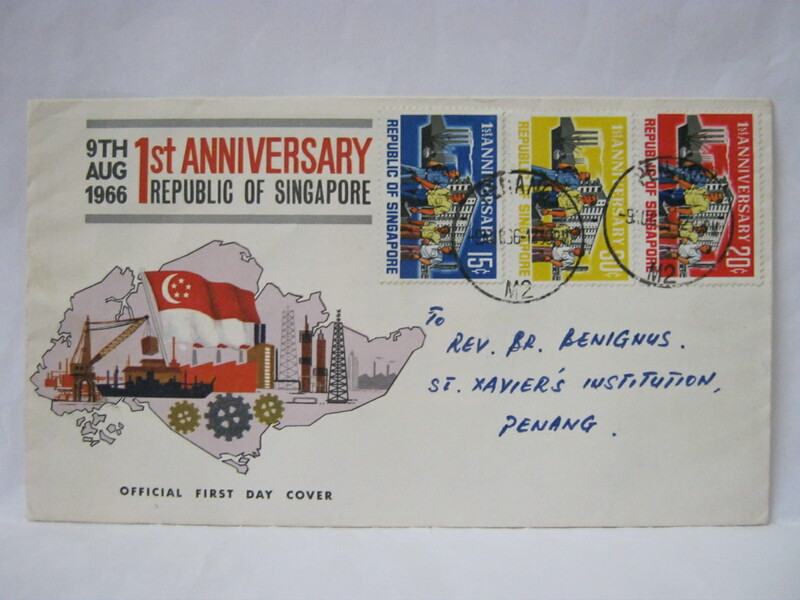 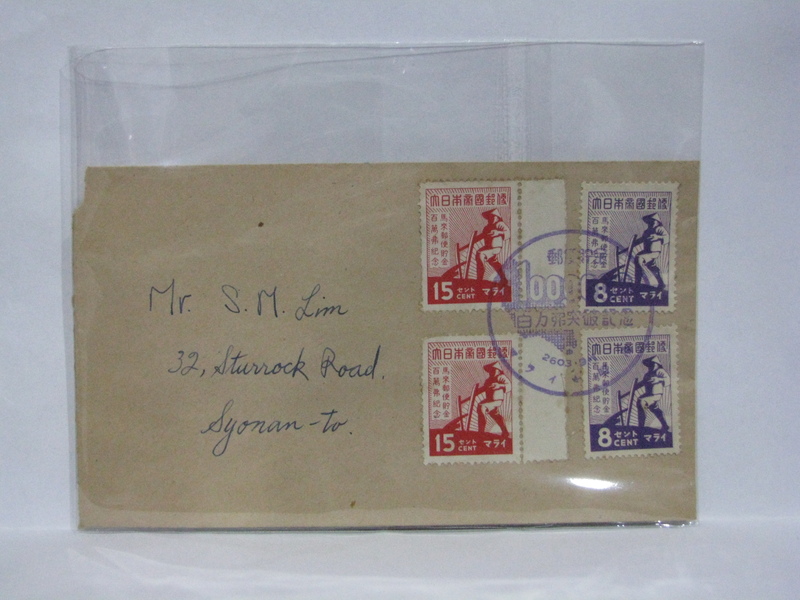 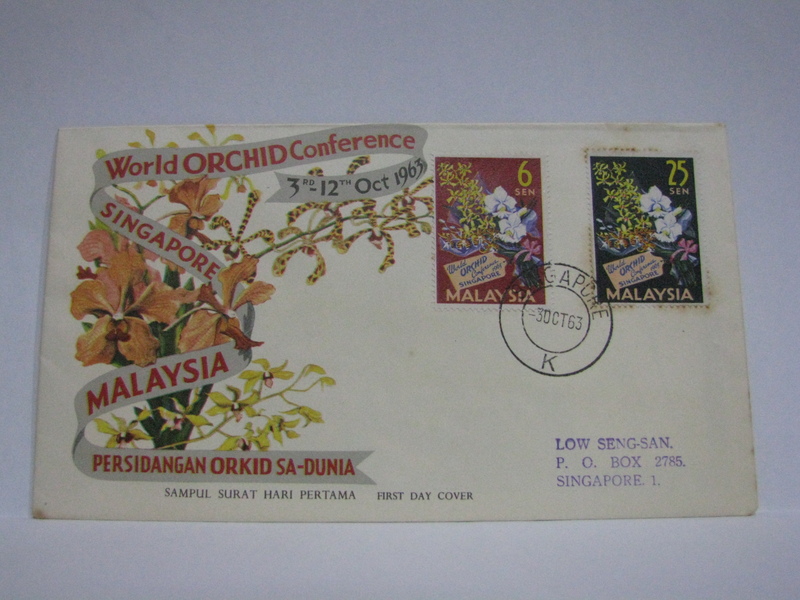 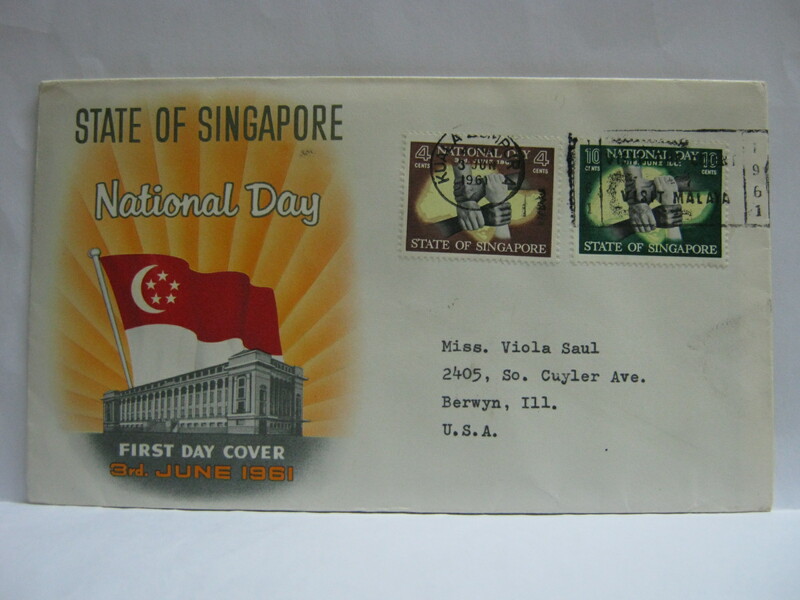 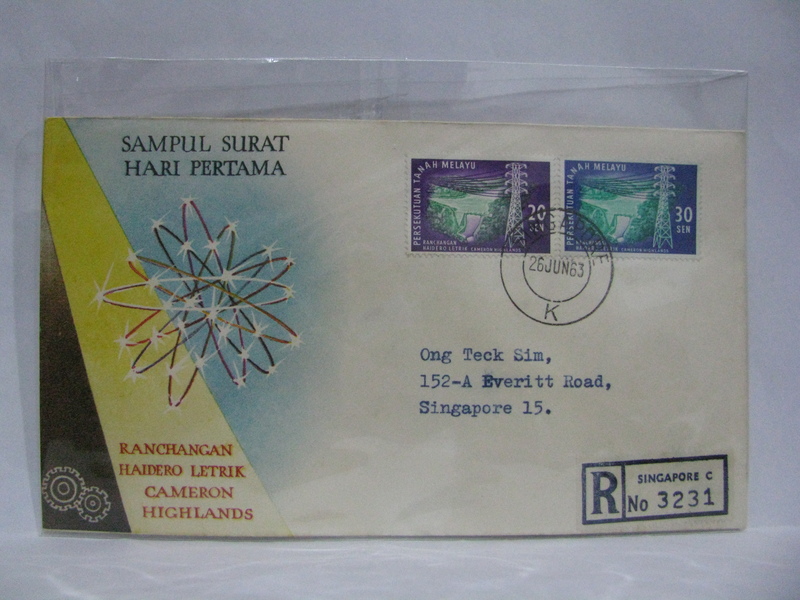 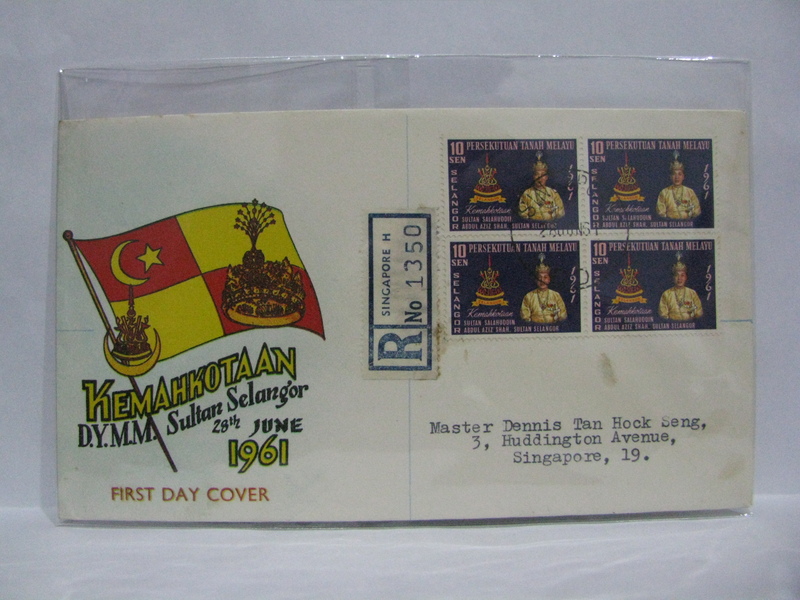 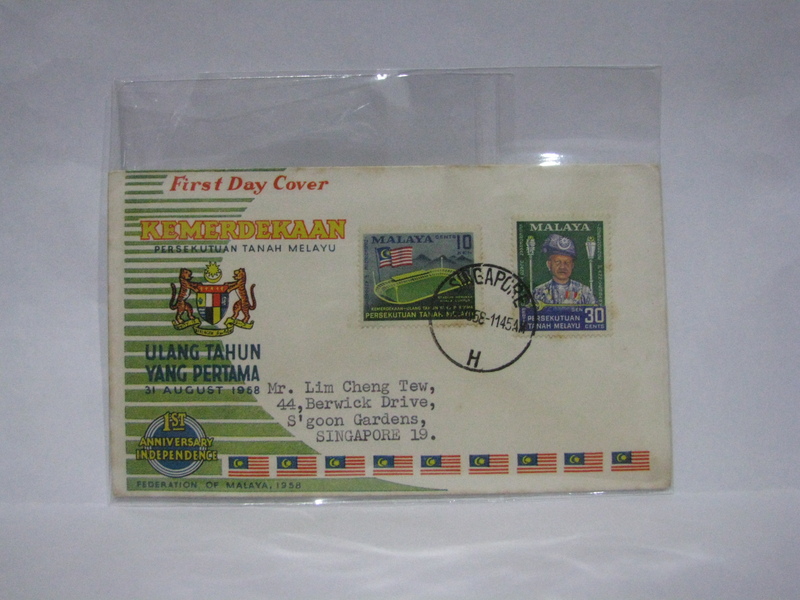 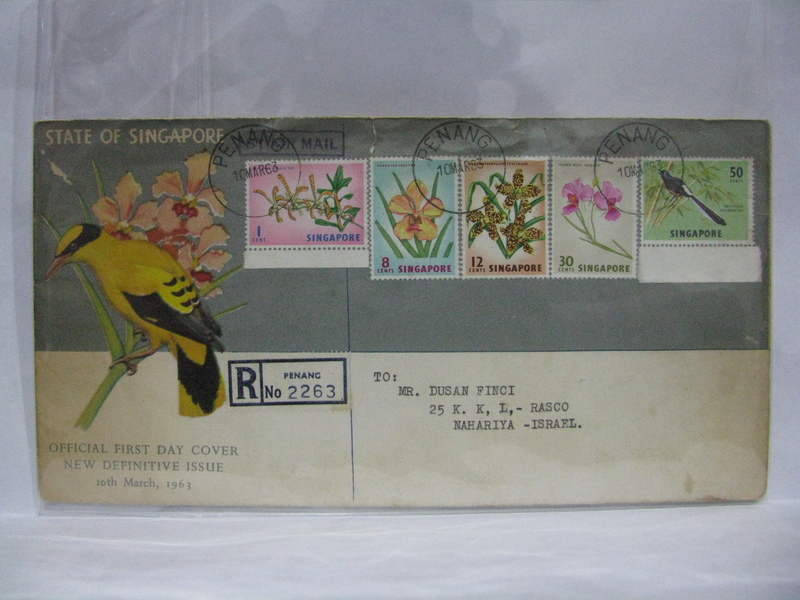 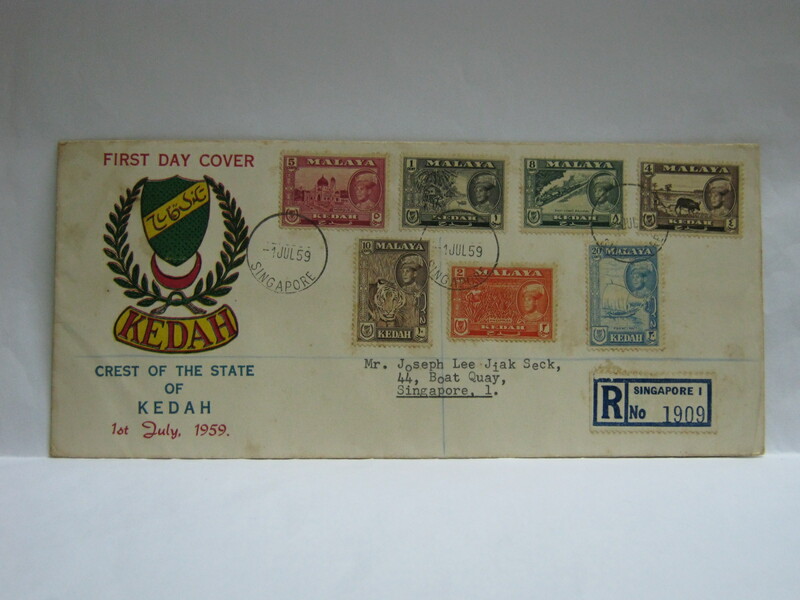 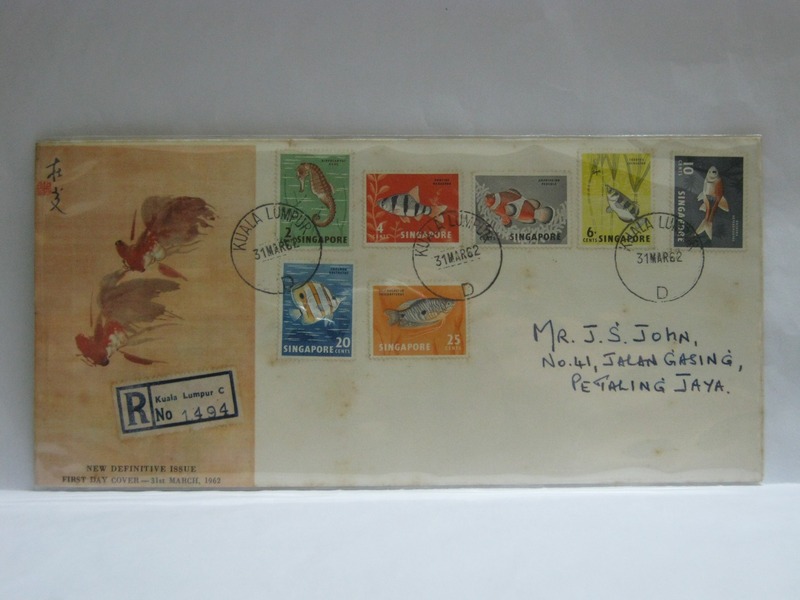 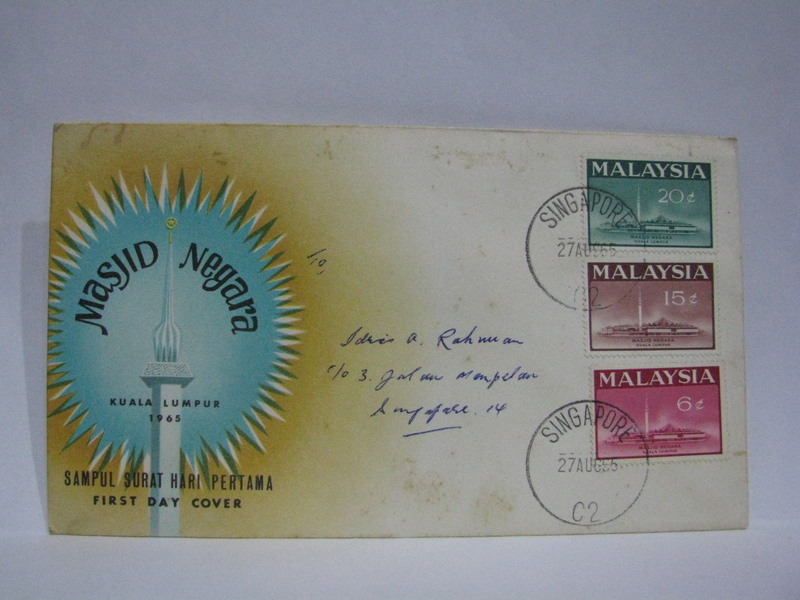 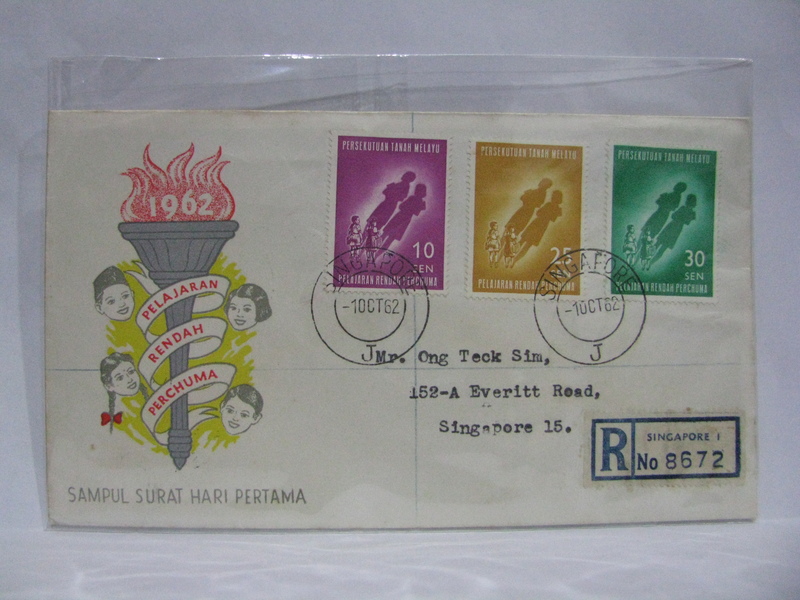 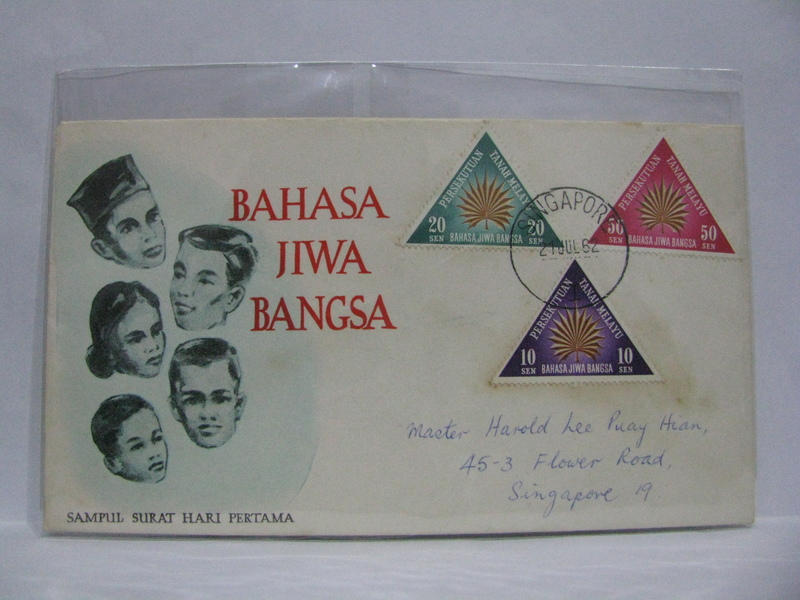 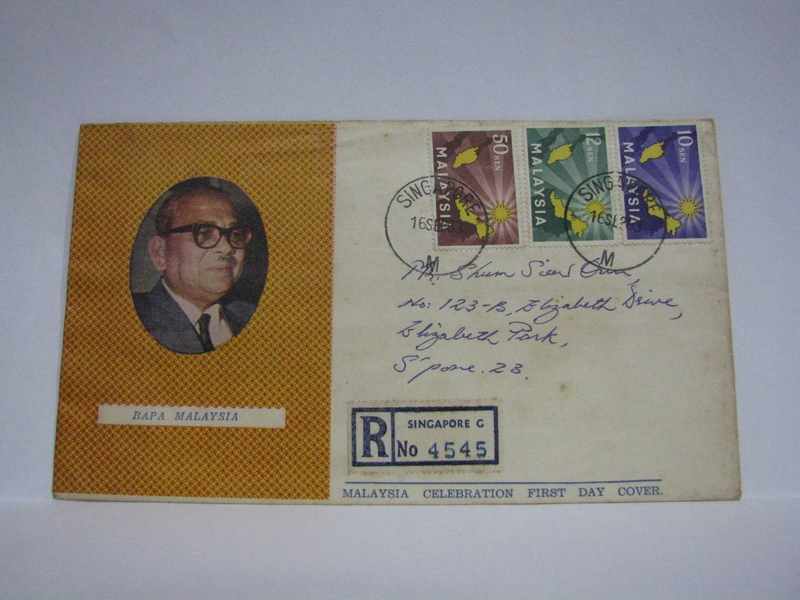 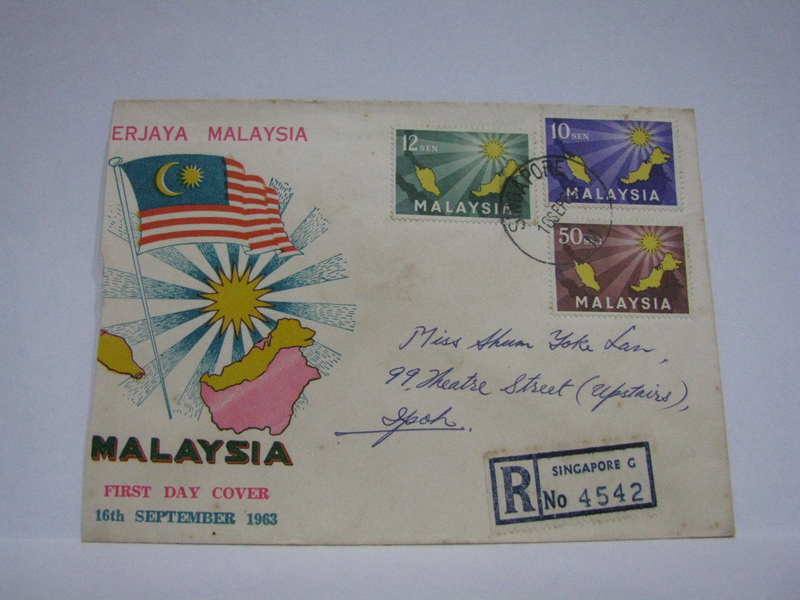 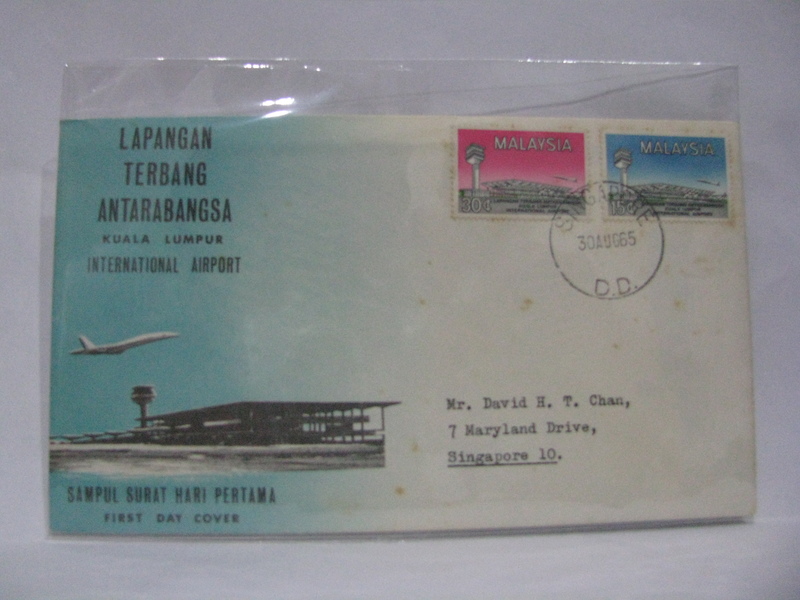 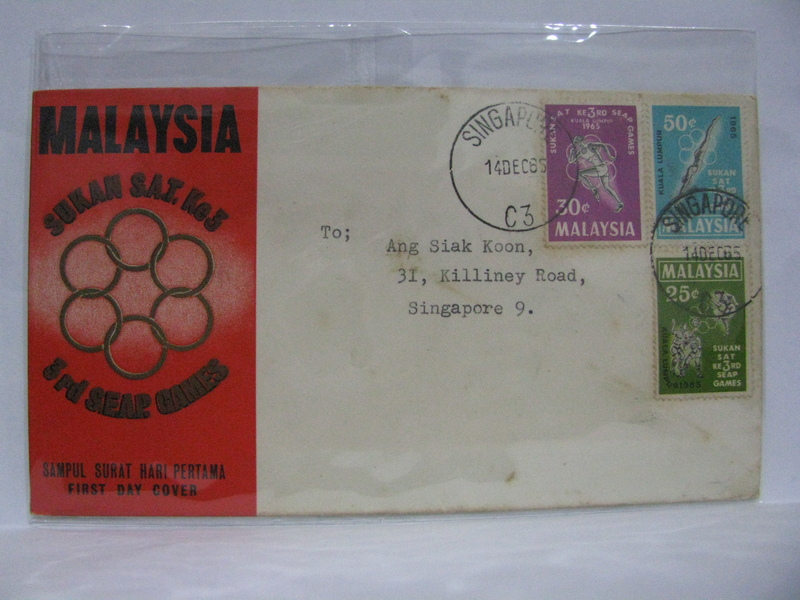 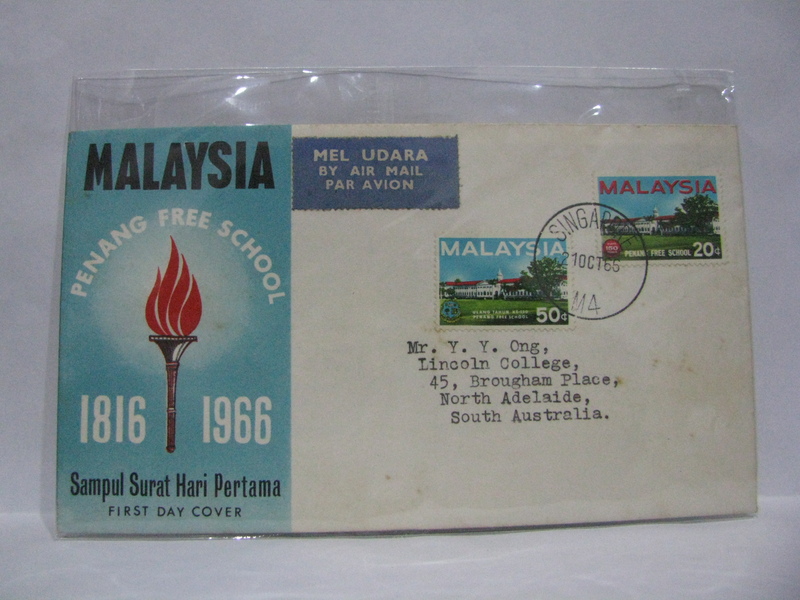 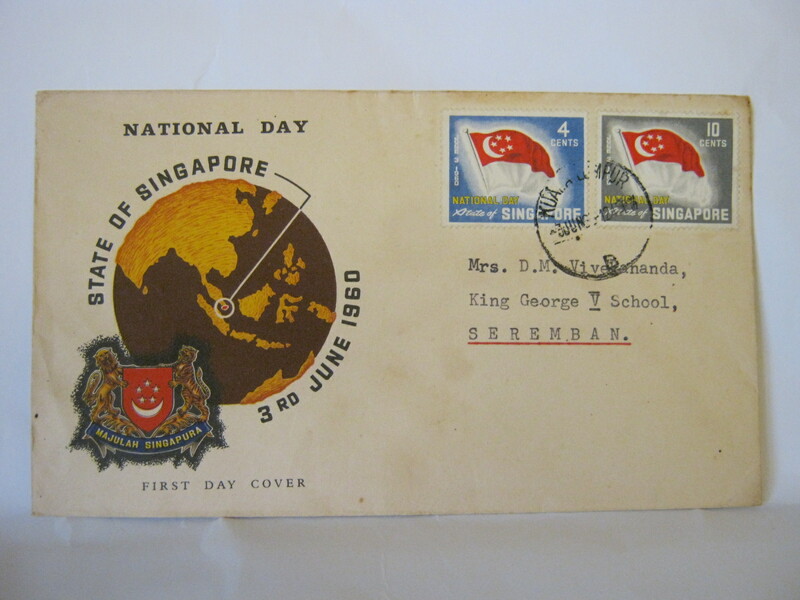 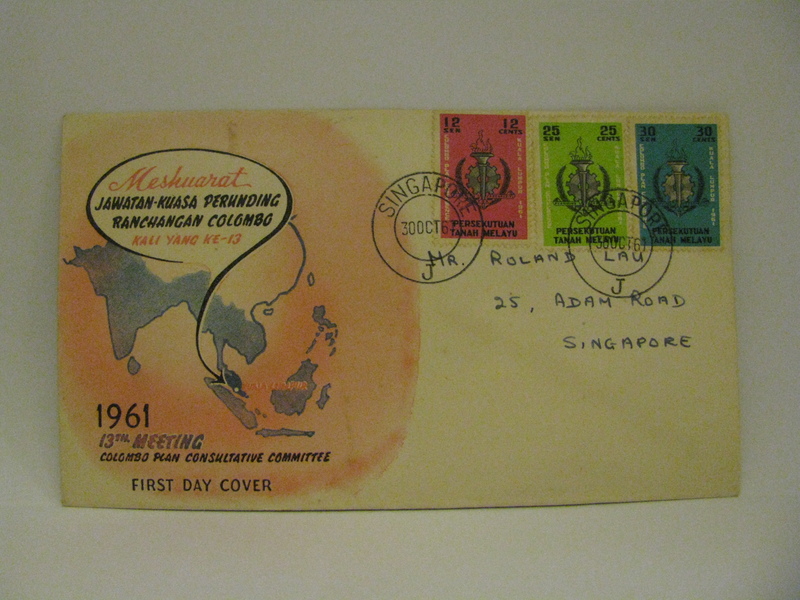 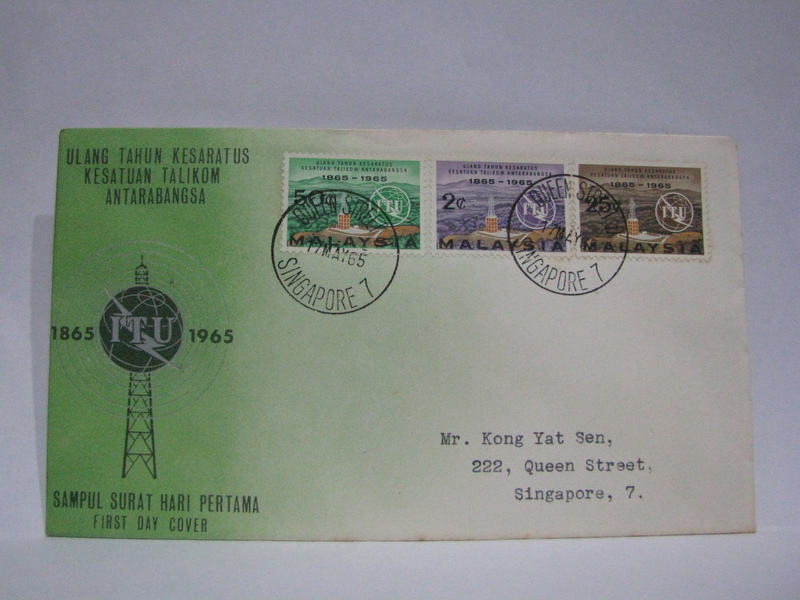 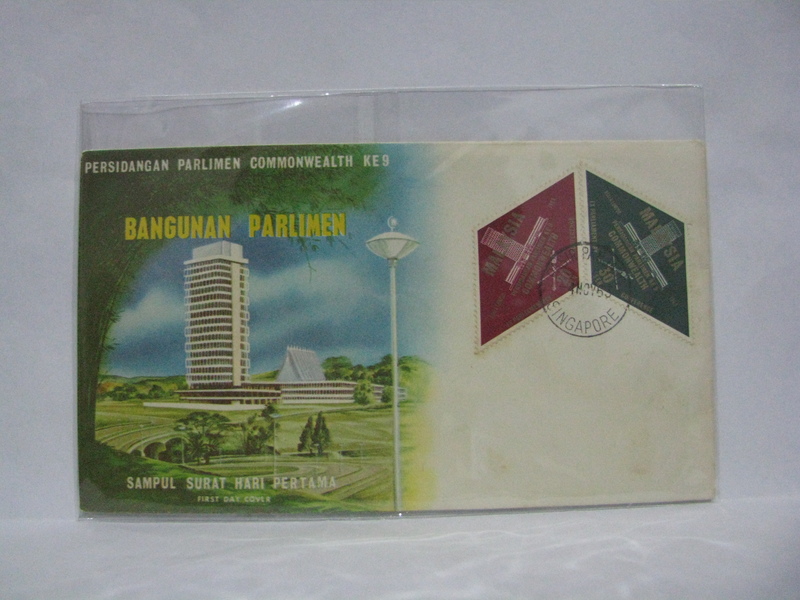 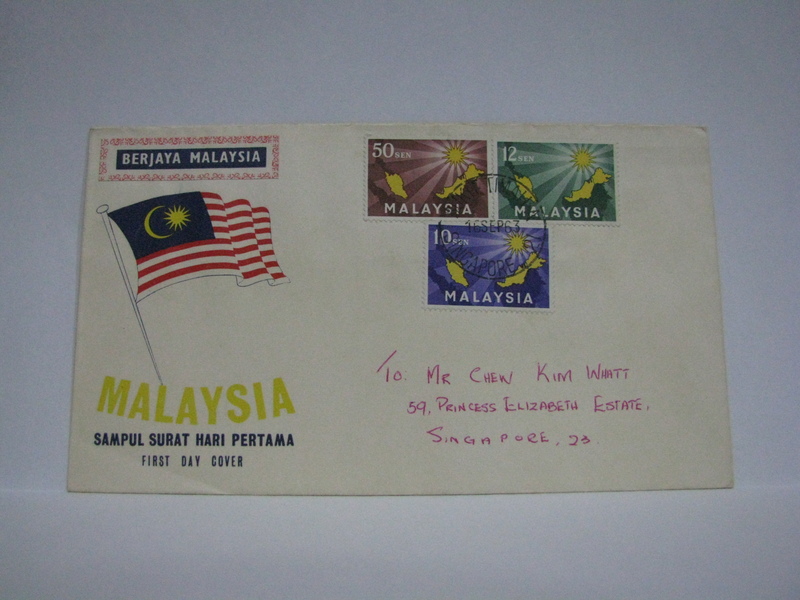 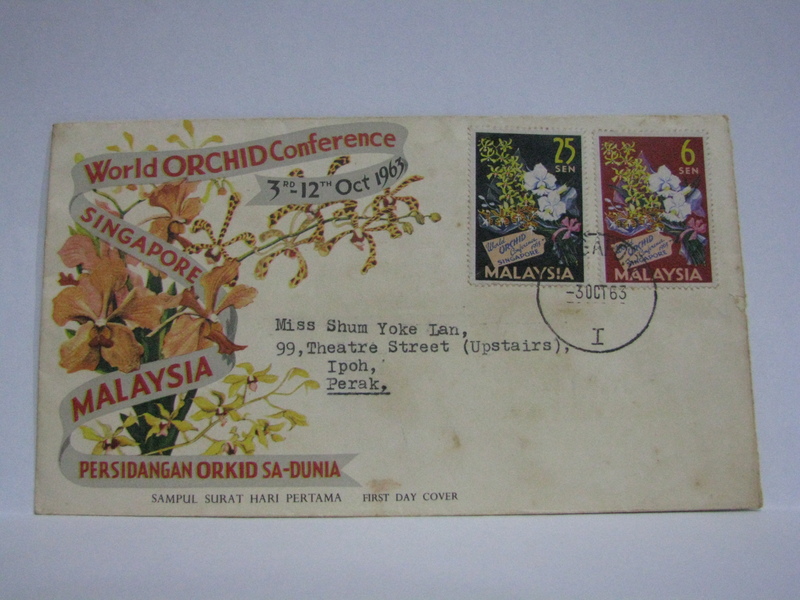 From 15 May 1964, North Borneo (Sabah) and Sarawak stamps were also allowed to be used in Singapore and vice versa. 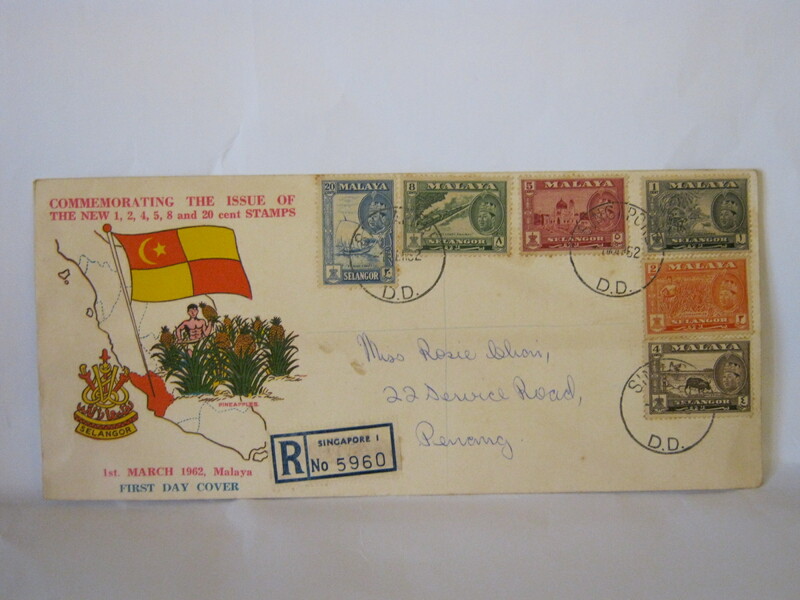 Here are some of those FDCs. 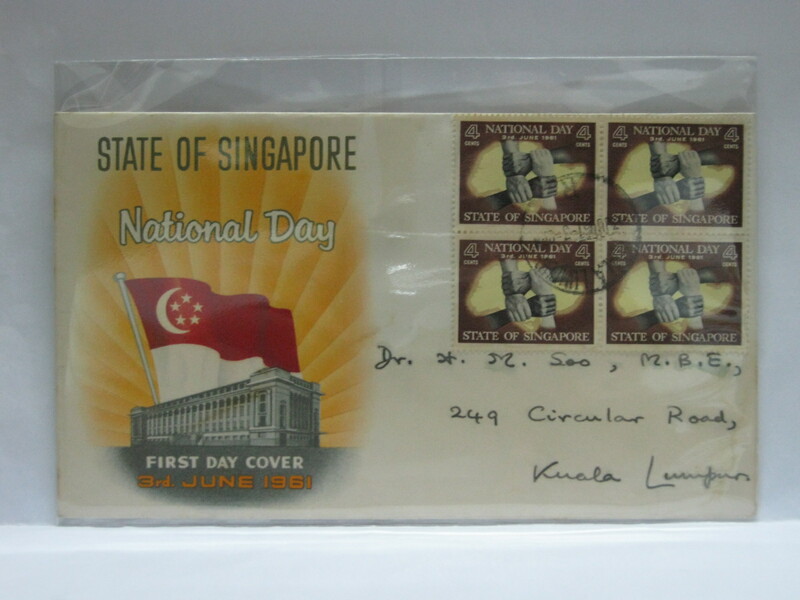 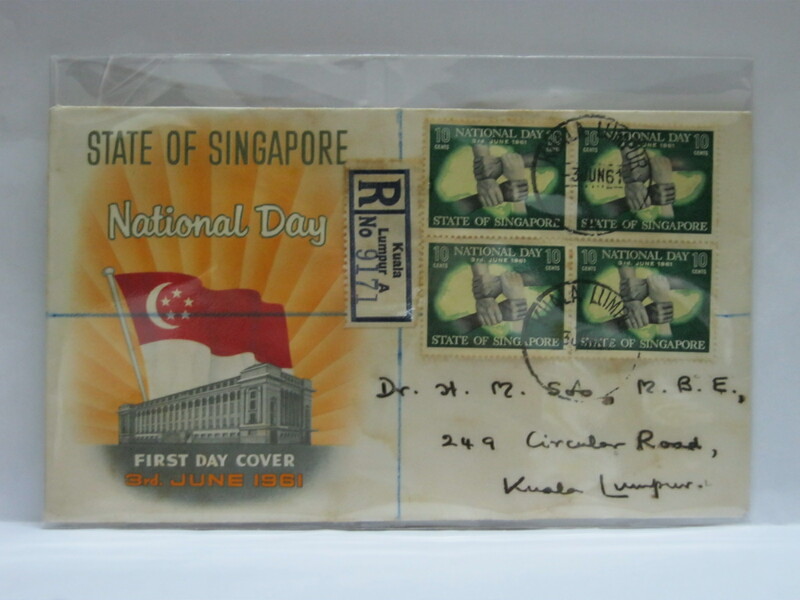 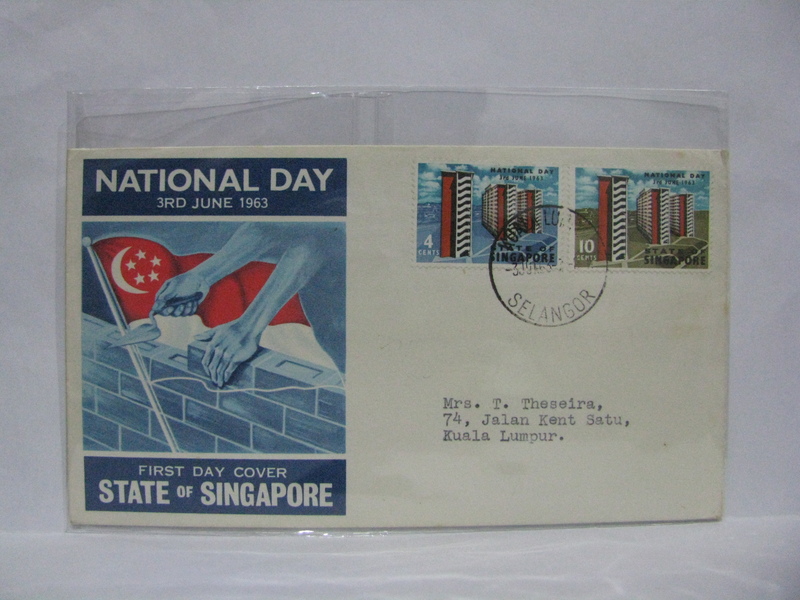 This FDC is special as it is officially the last commemorative stamp issue to be allowed to be cancelled in Singapore. 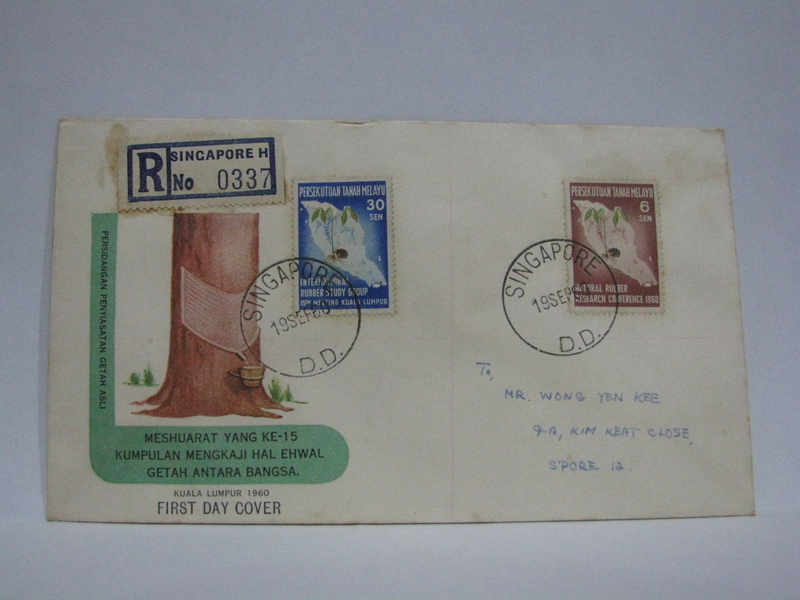 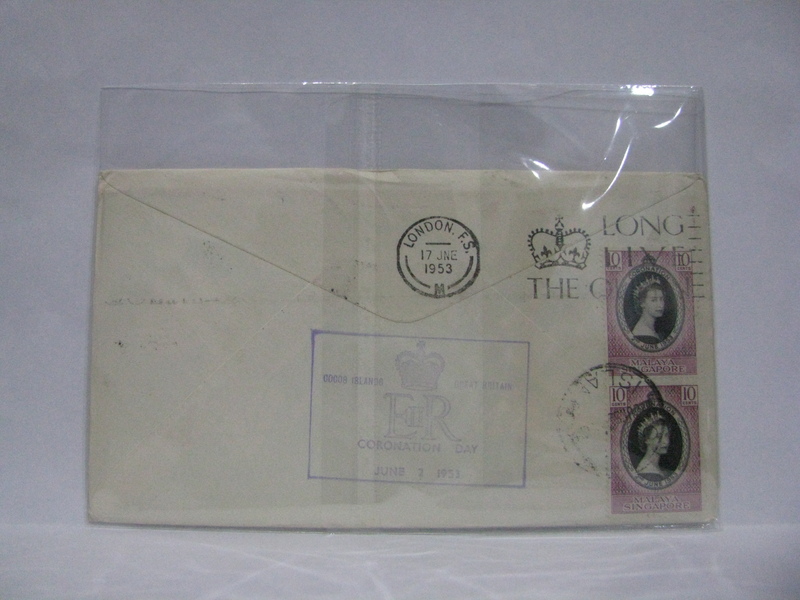 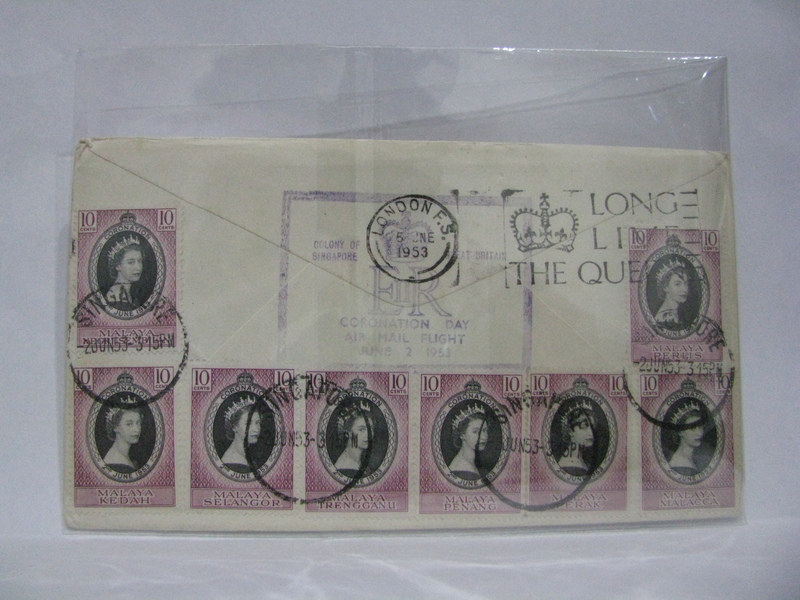 The cross usage of stamps ended on 31 January 1967 and this issue is the last issue before the date. 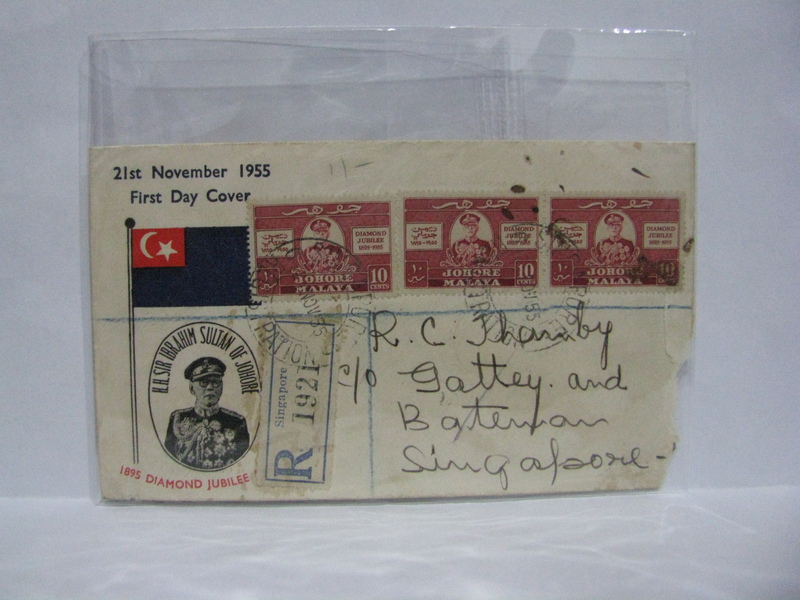 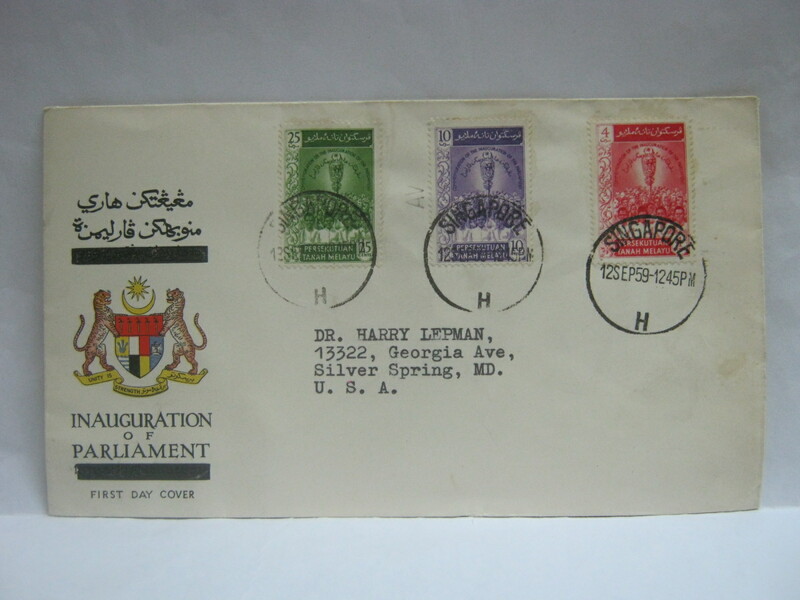 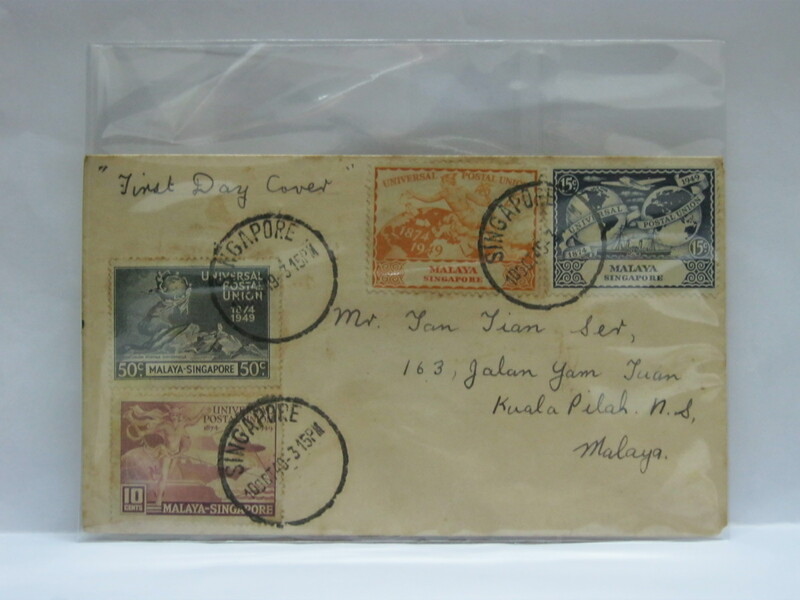 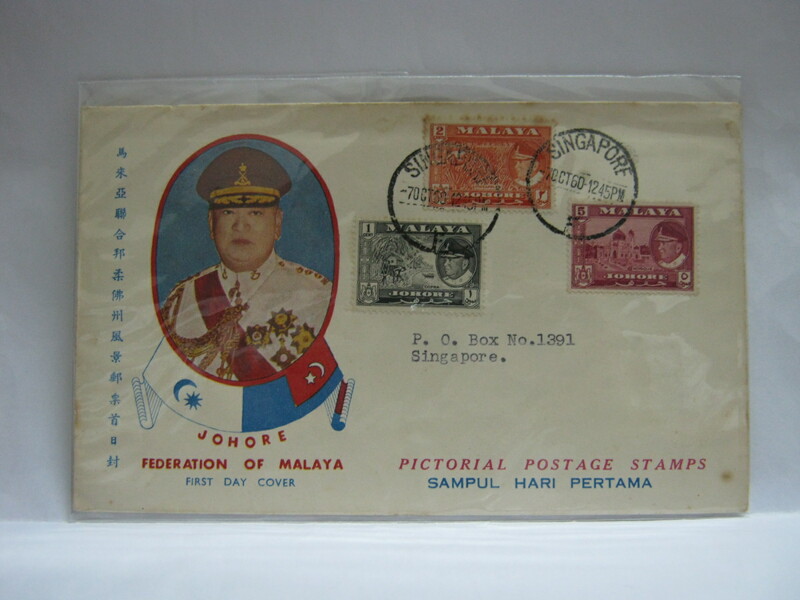 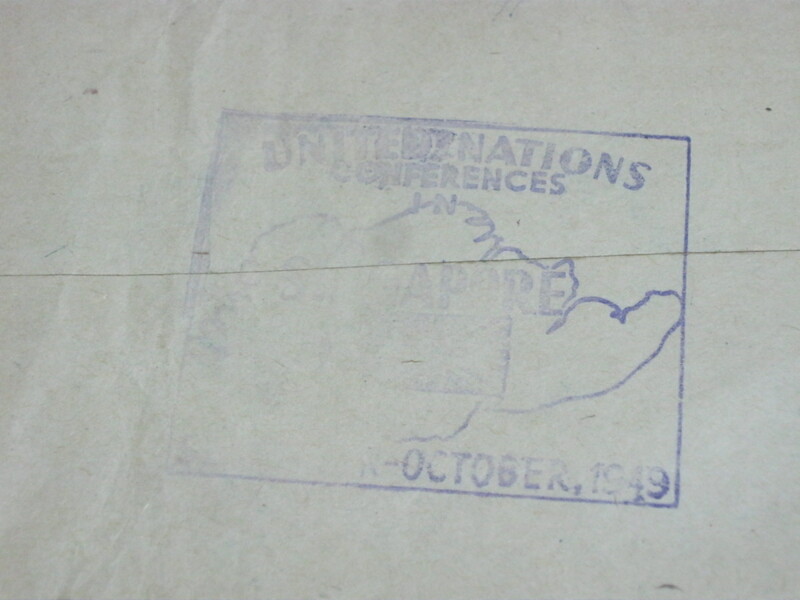 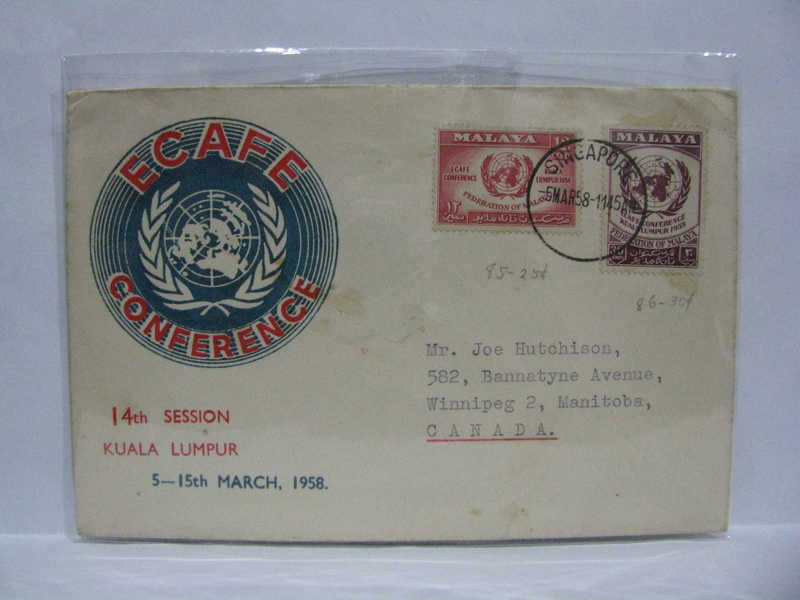 Here are Singapore FDCs cancelled in Malaya / Malaysia. 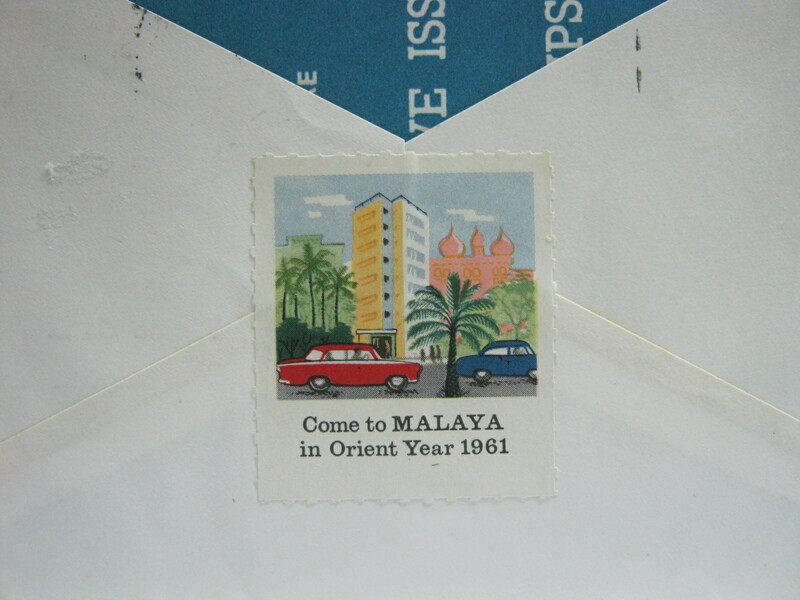 They are harder to find. 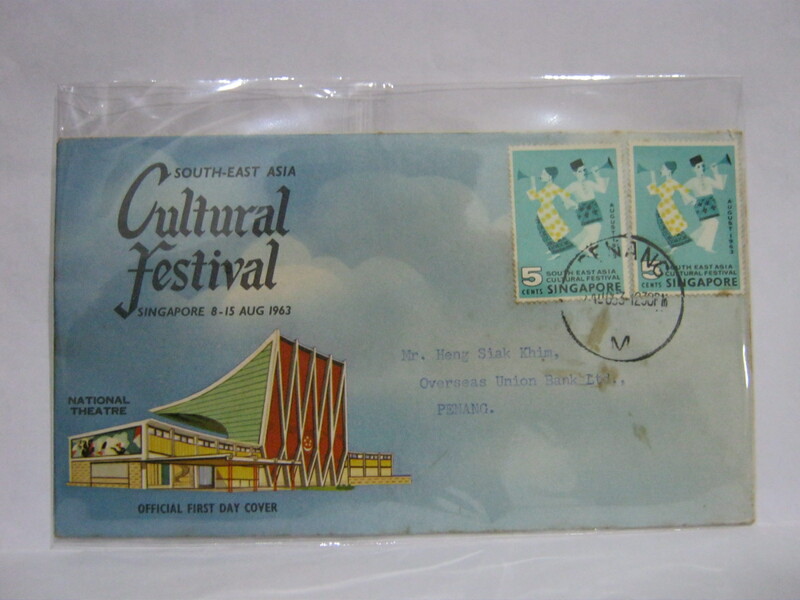 Usually the brochures are missing in the early era. 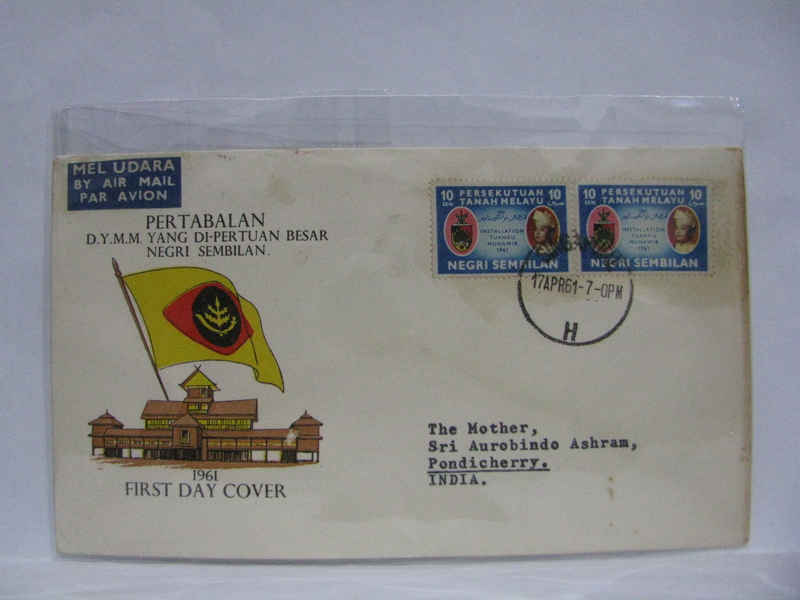 However for the above FDC, I was lucky to have the brochure. 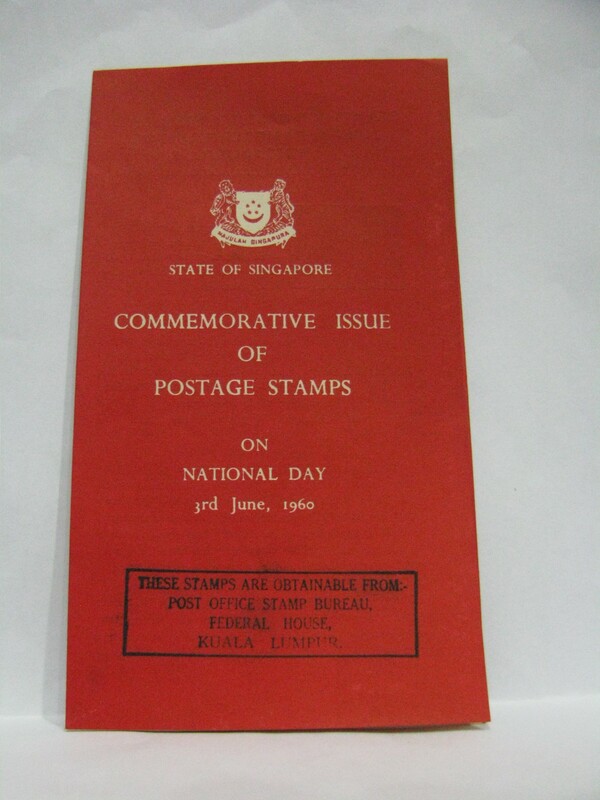 Clearly stated on the brochure is a rubber stamp that the stamps are obtainable from the Stamp Bureau in Federal House. 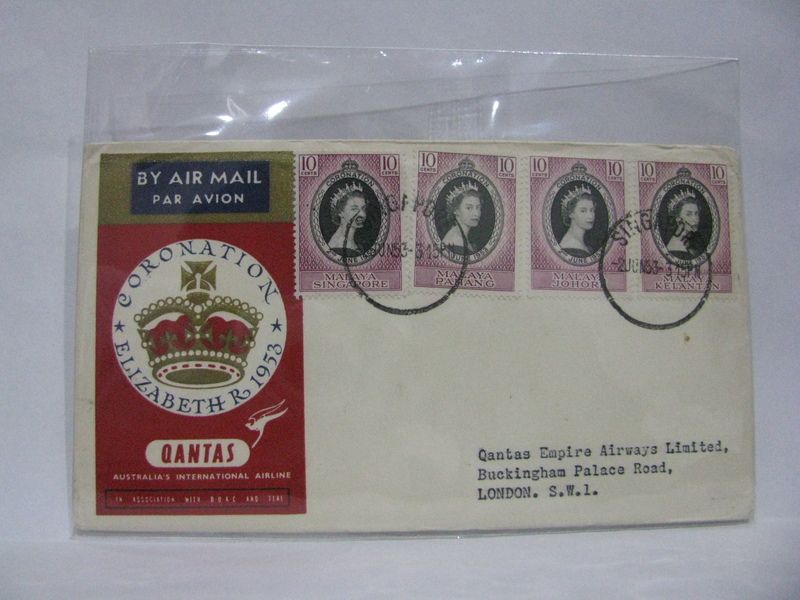 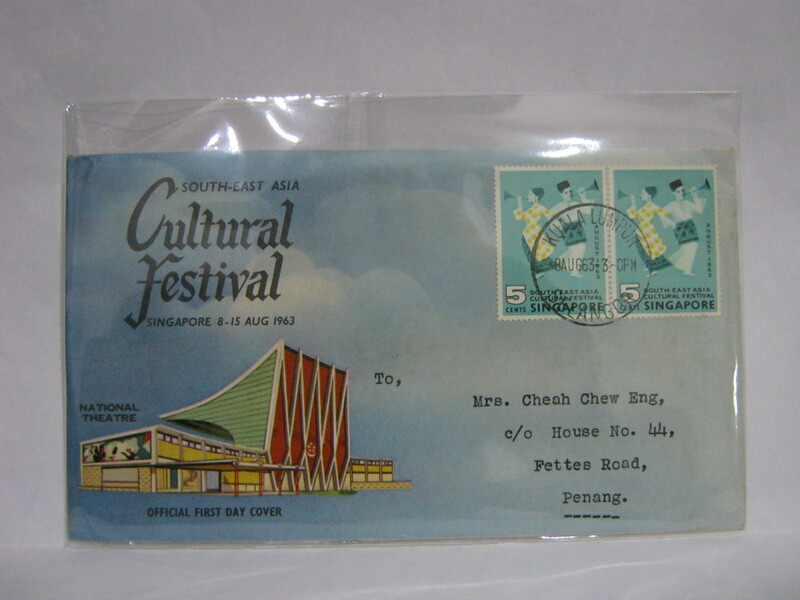 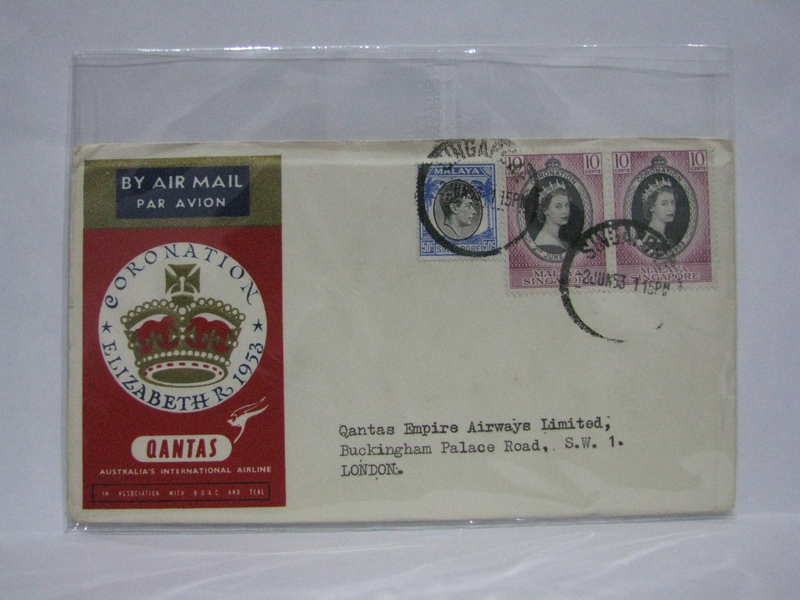 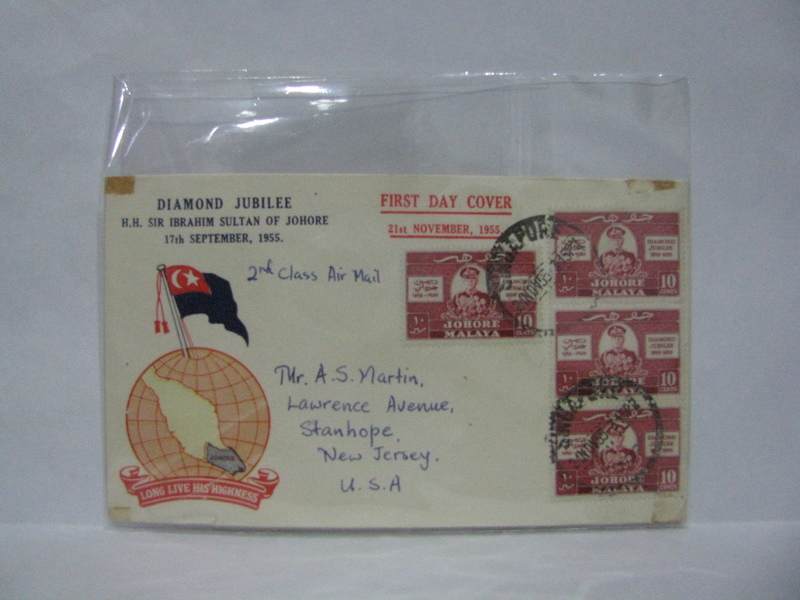 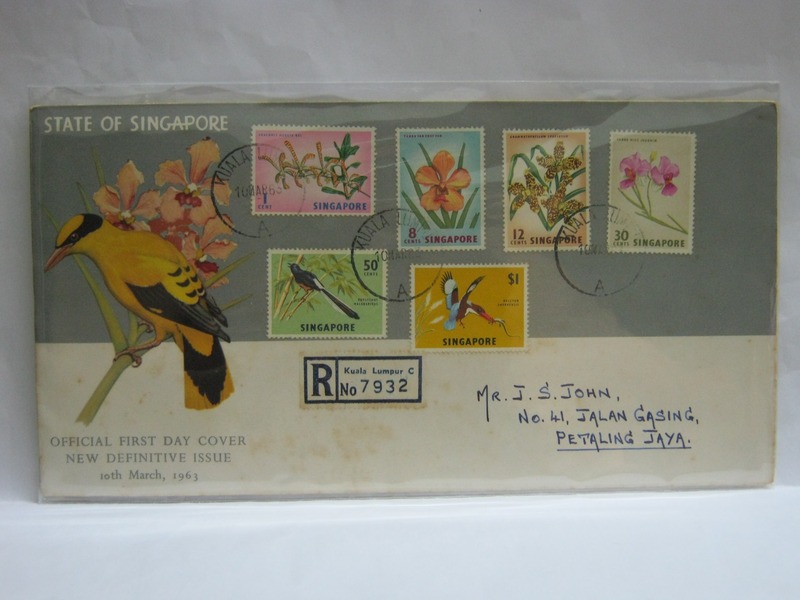 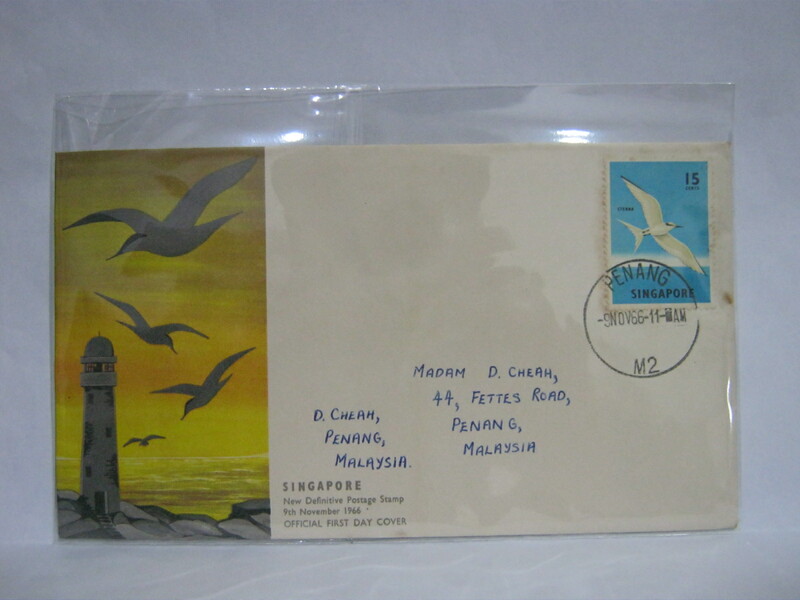 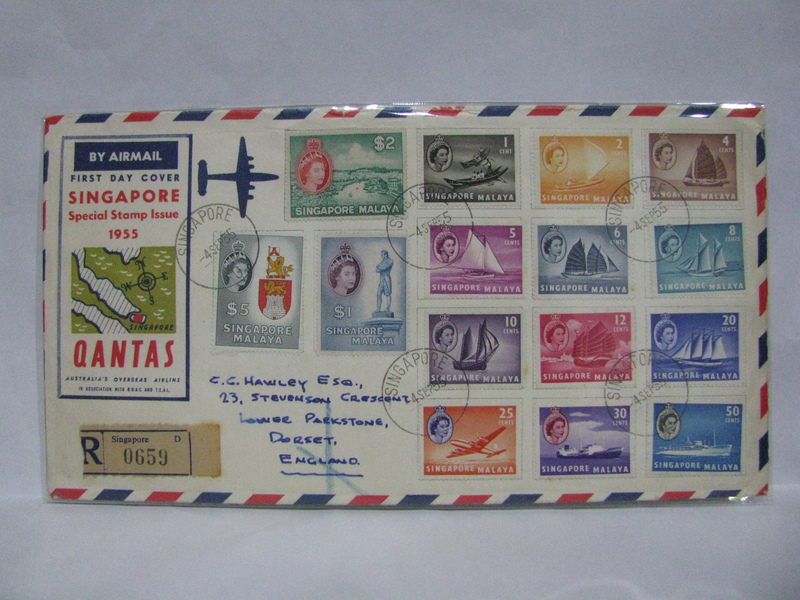 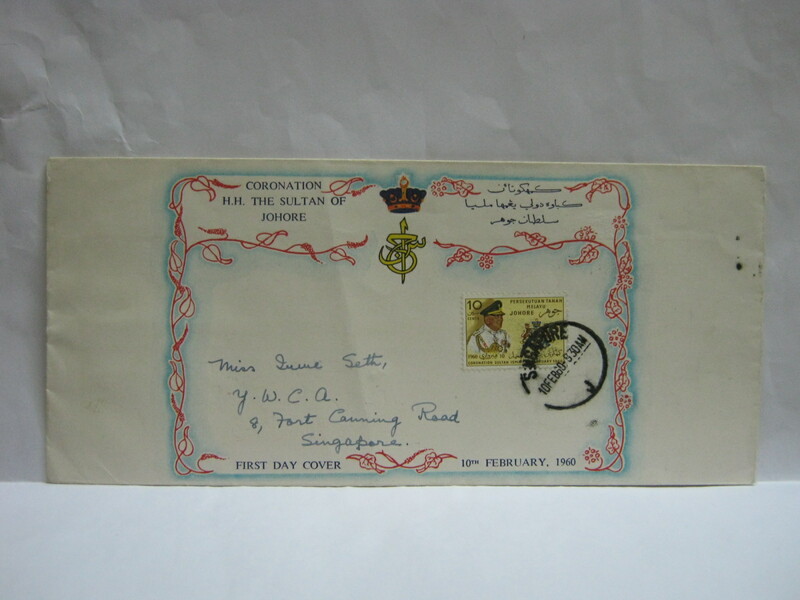 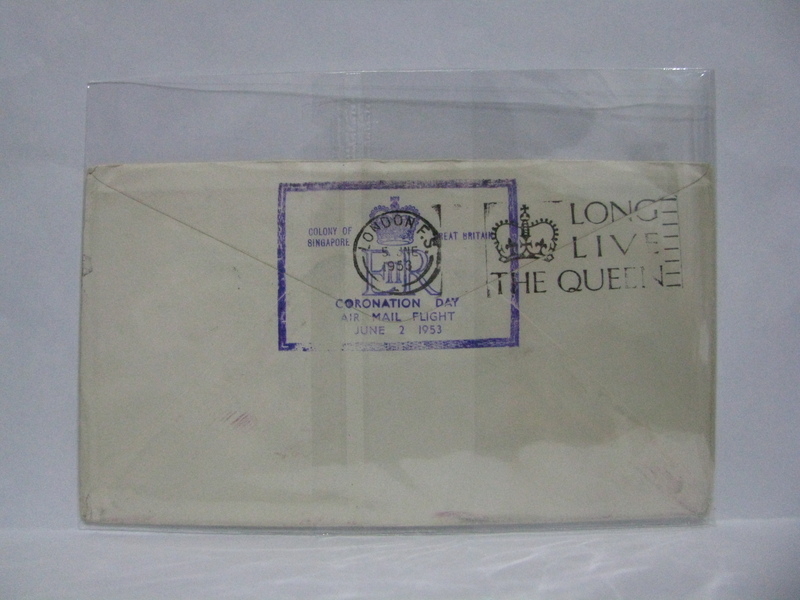 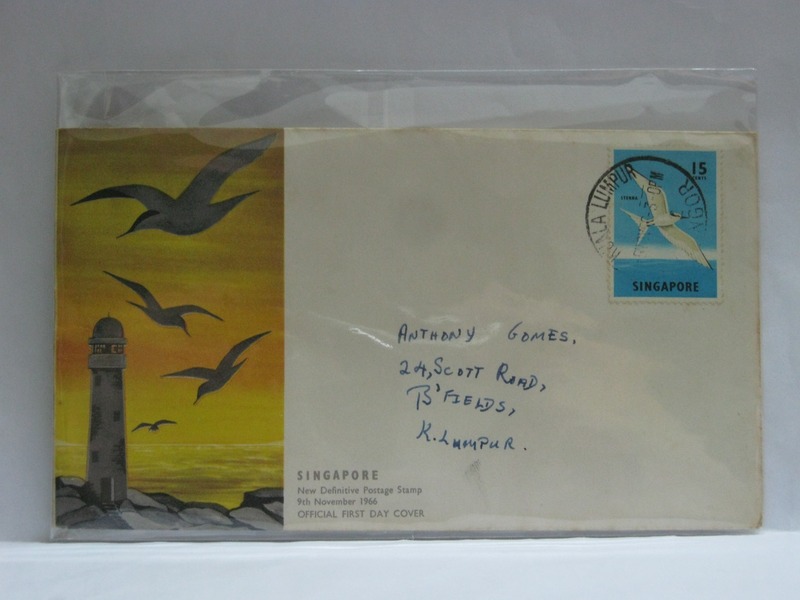 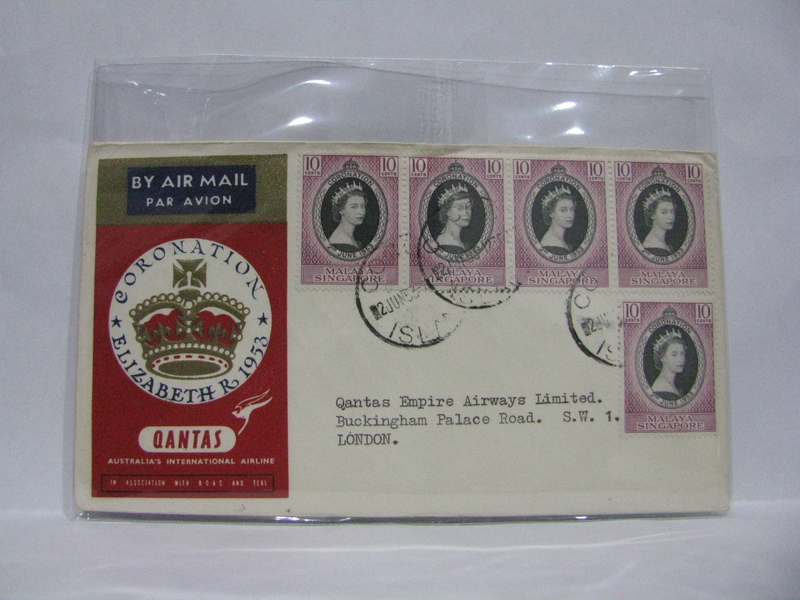 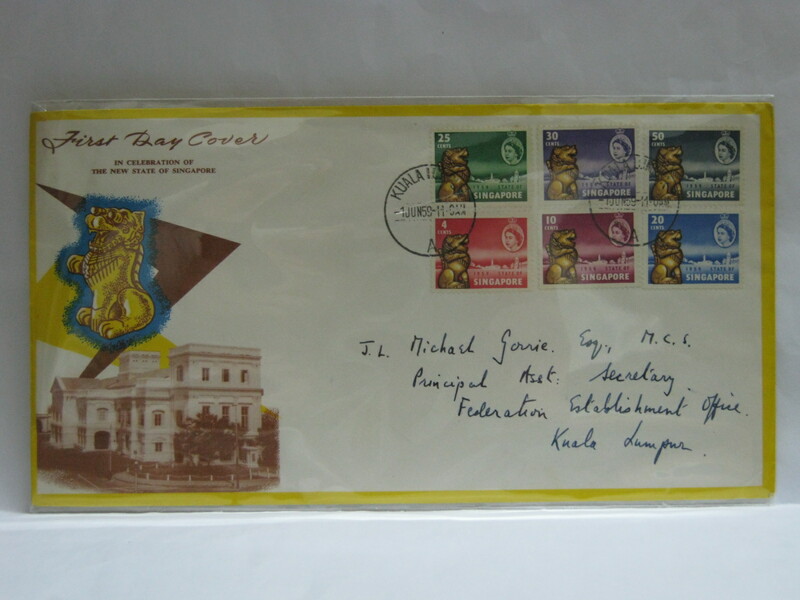 Very good collection myfdc .\i also collect fdc’s but only generic one apertaining to the issue rather tha the special event.Managed to obtain the full Singapore set on Qantas cover to Qantas manager in Sydney and in good to fine condition.Plus several in late 60@s I sent to uk.